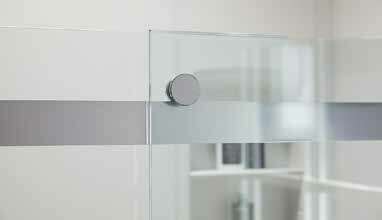 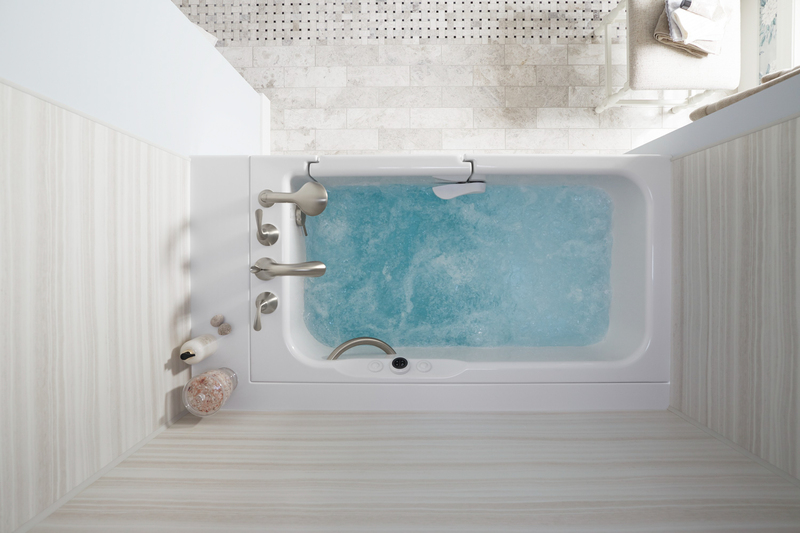 When homeowners renovate their bathtubs with Home Smart, the possibilities are virtually endless. 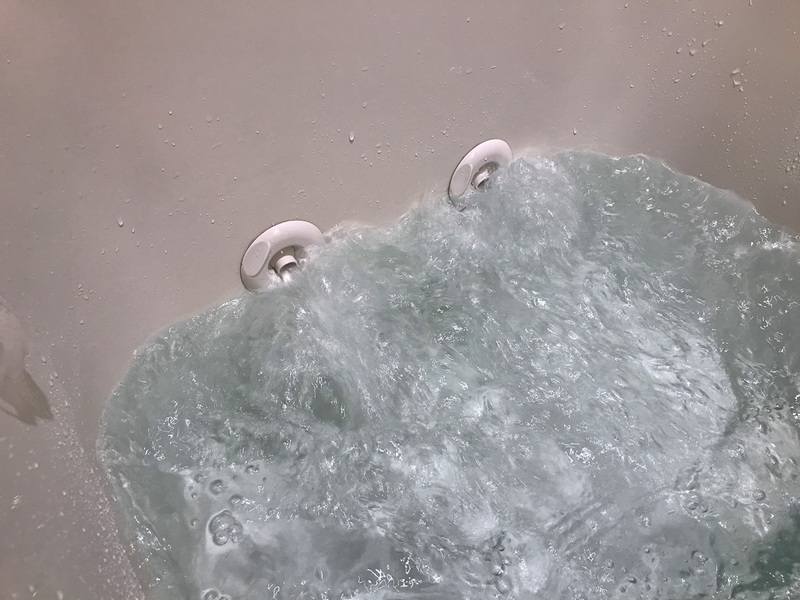 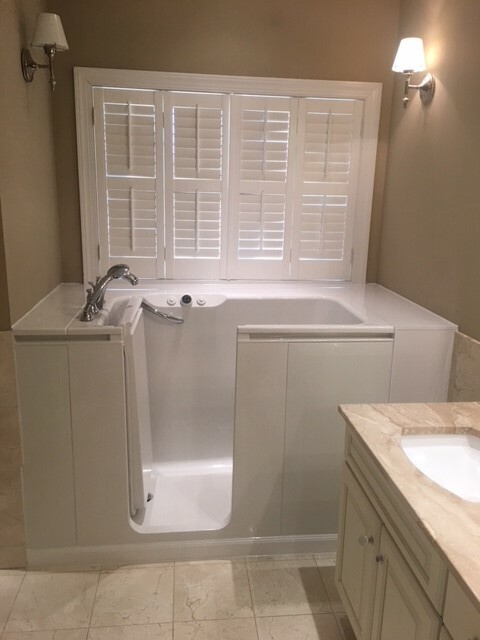 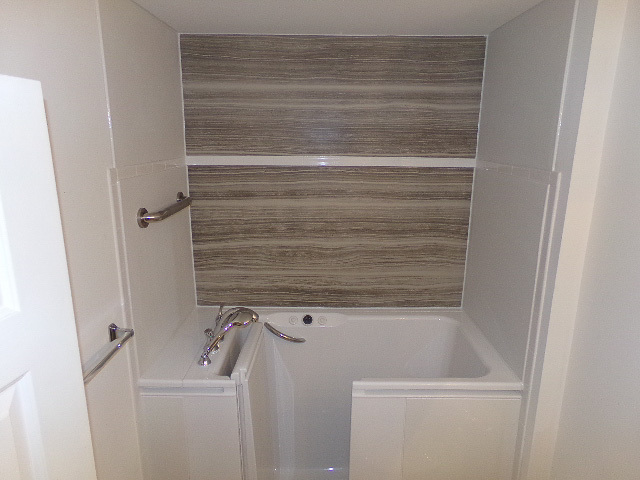 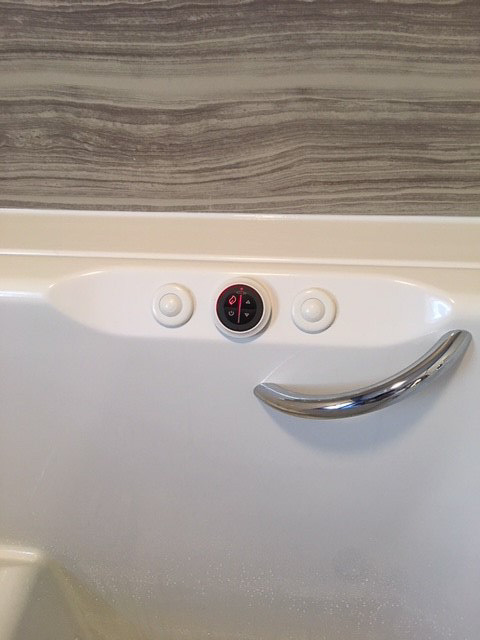 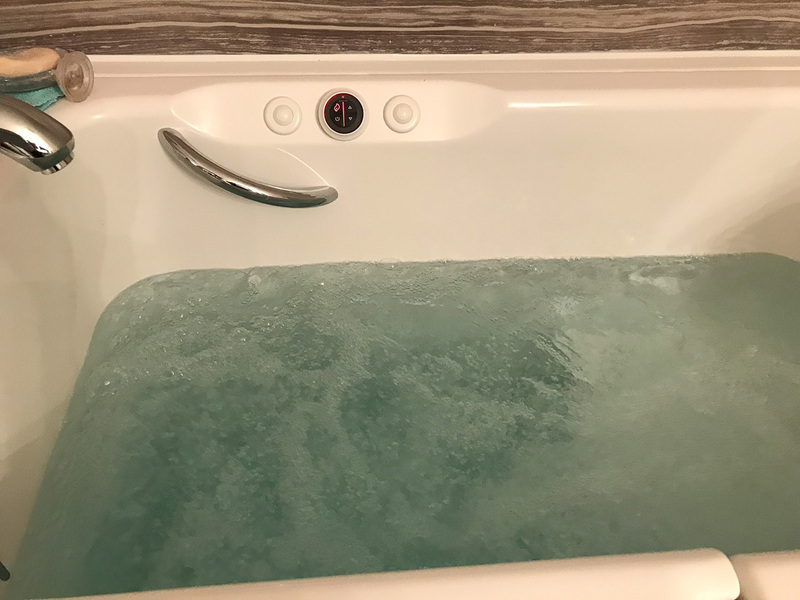 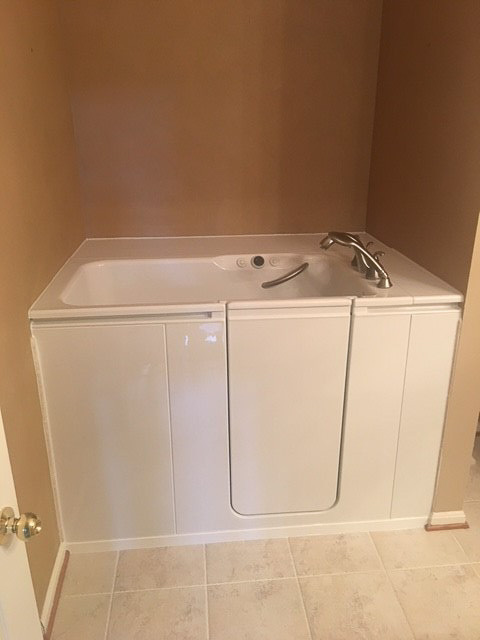 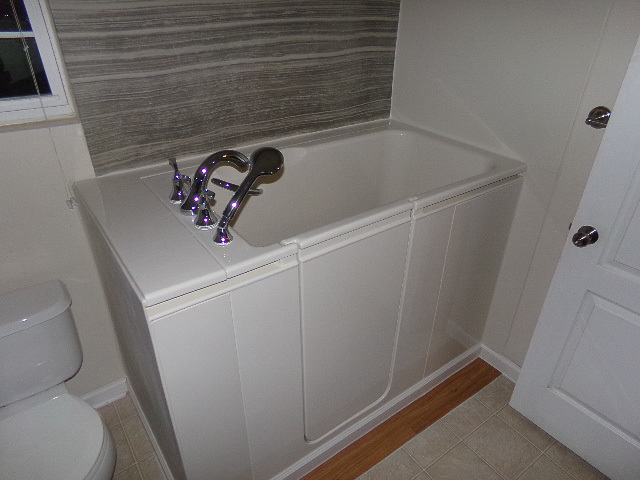 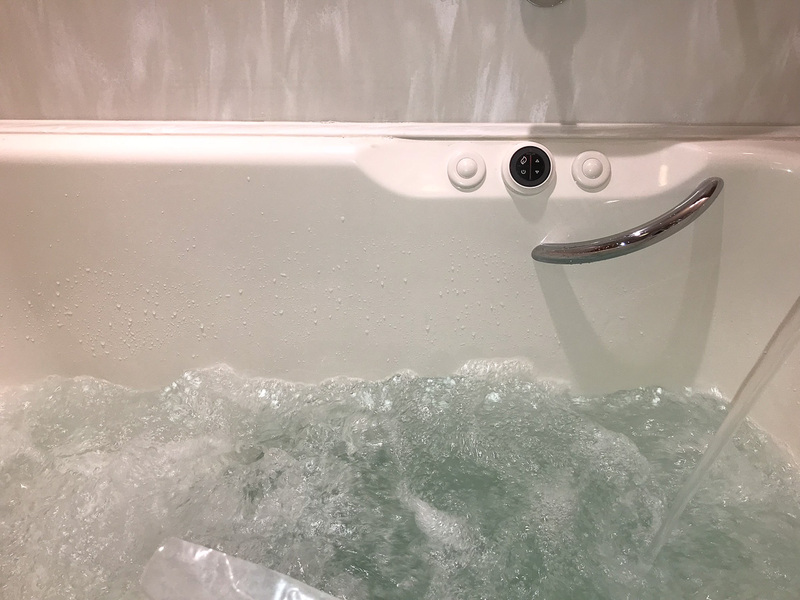 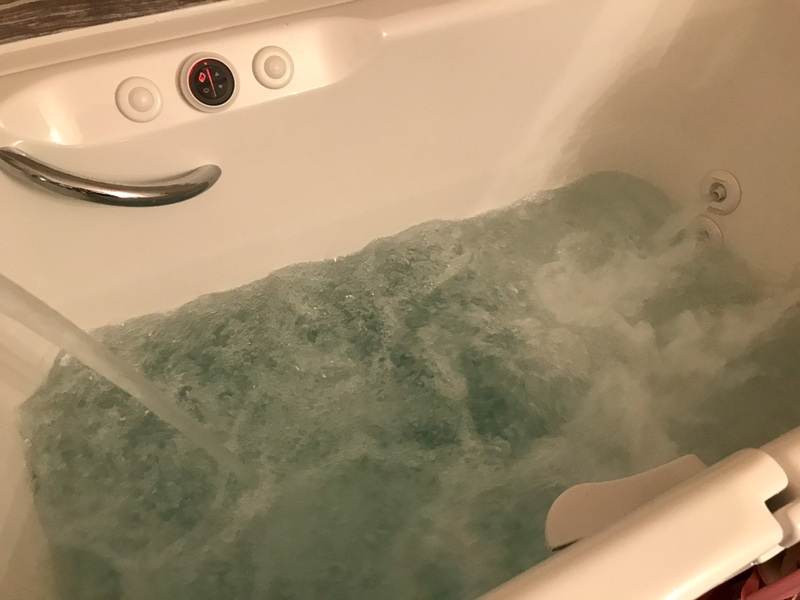 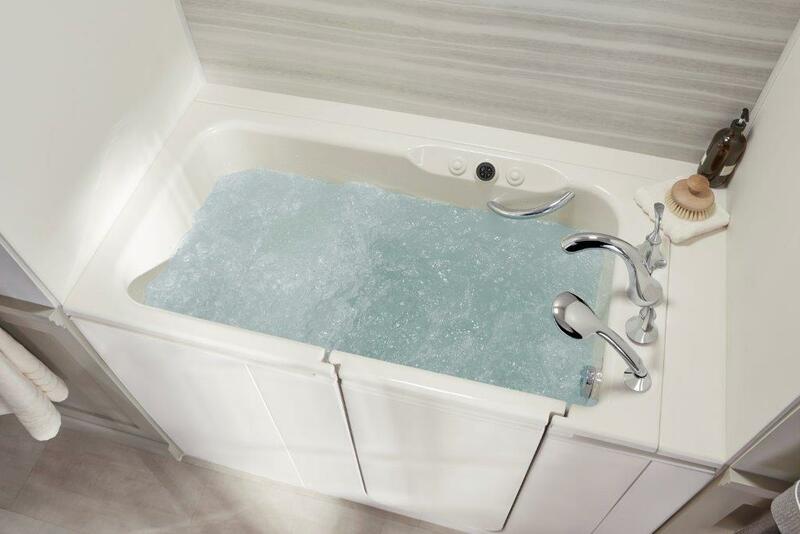 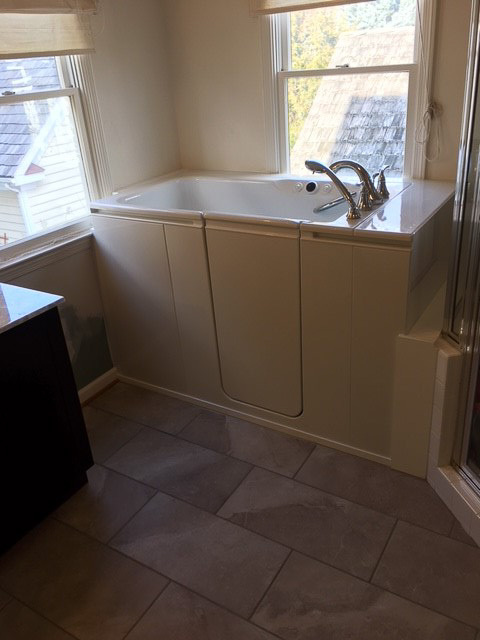 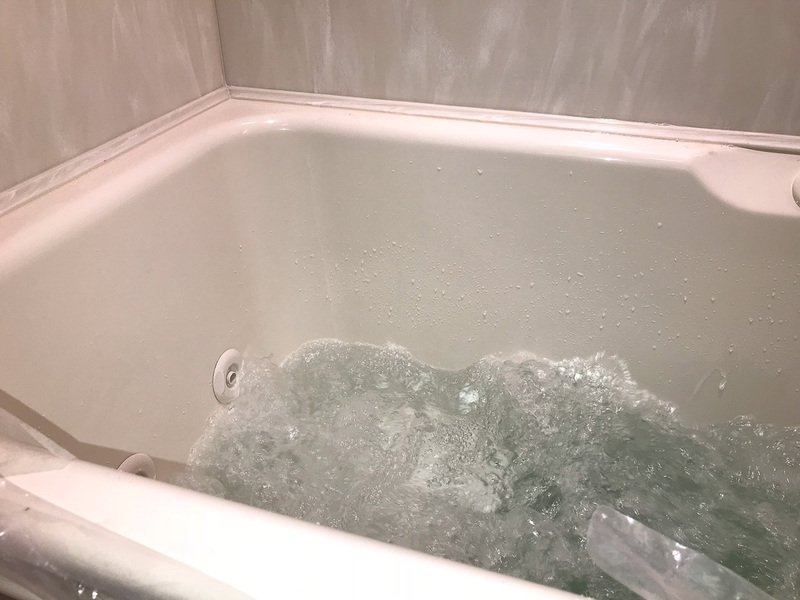 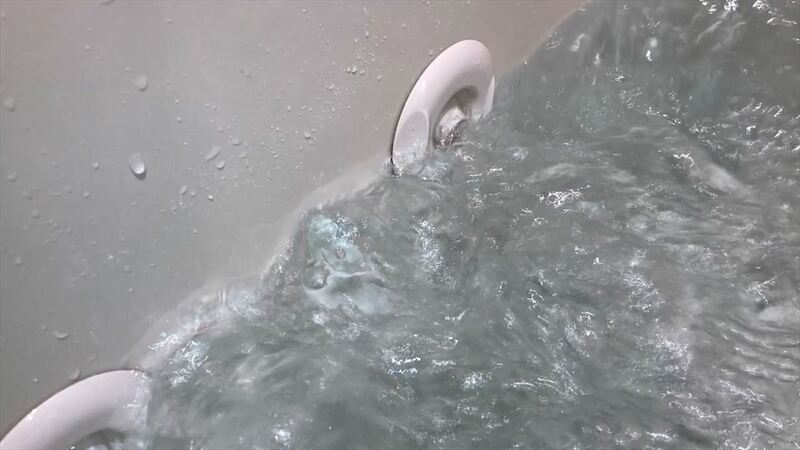 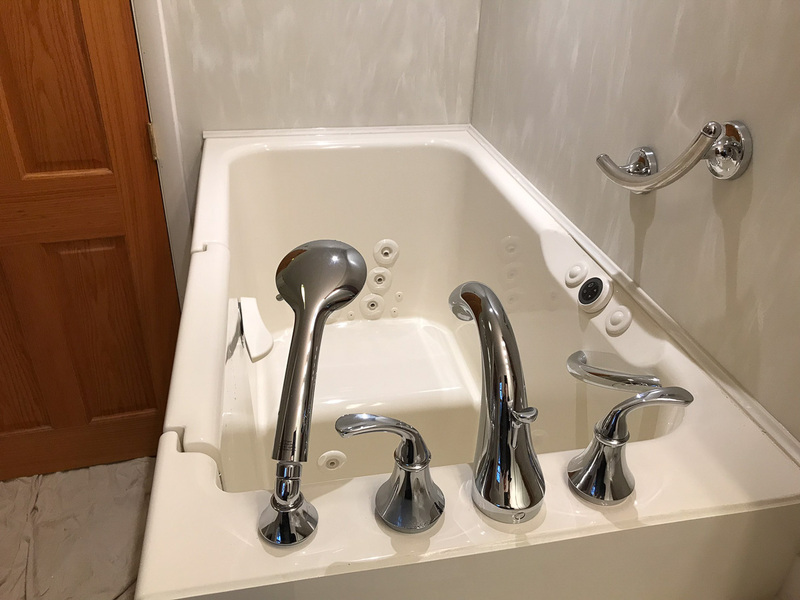 As a company that has installed bathtubs in residences throughout the region since 2001, we recognize that no two families have the exact same tastes or needs, which is why we offer a wide variety of product options for our customers to choose from. 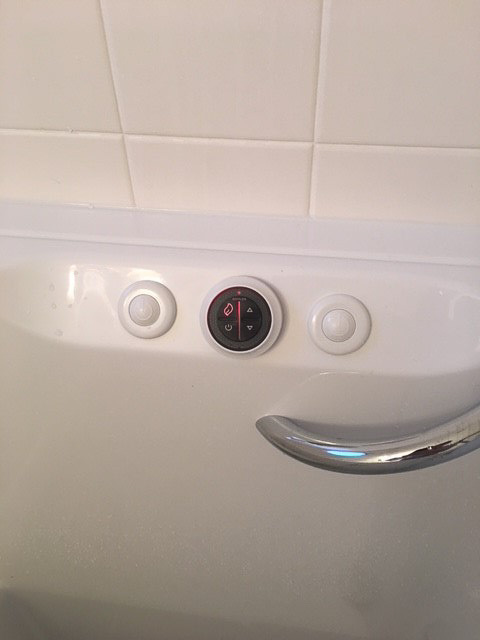 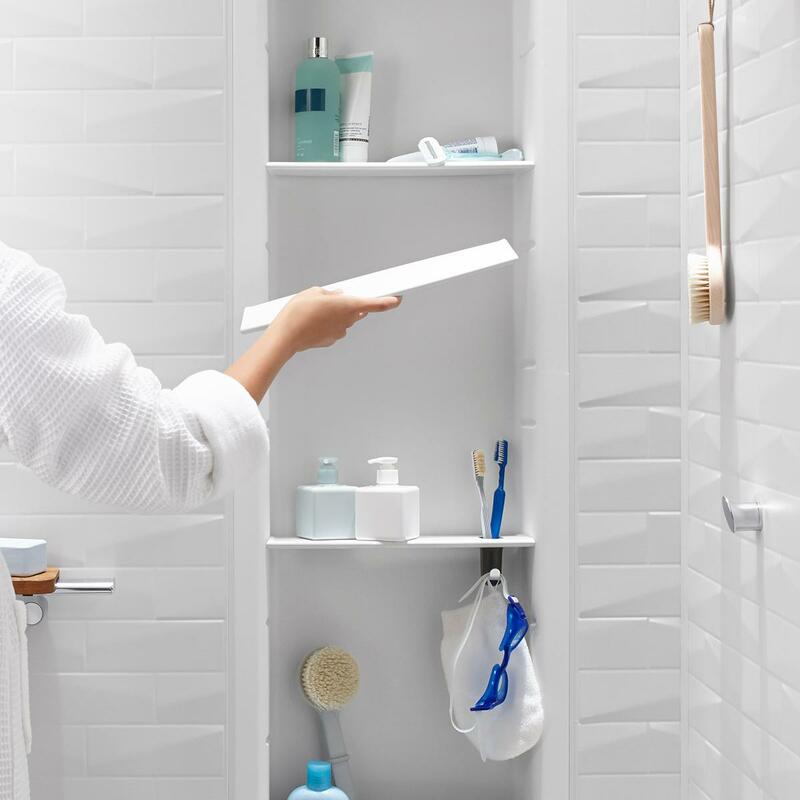 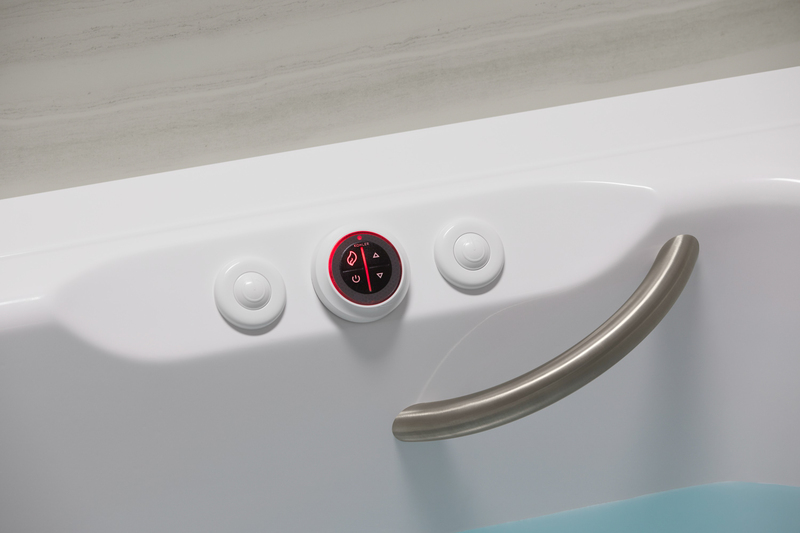 With Home Smart, you’ll be able to select a bath system that has the right appearance, functionality, and price to fit you and your family’s needs exactly. 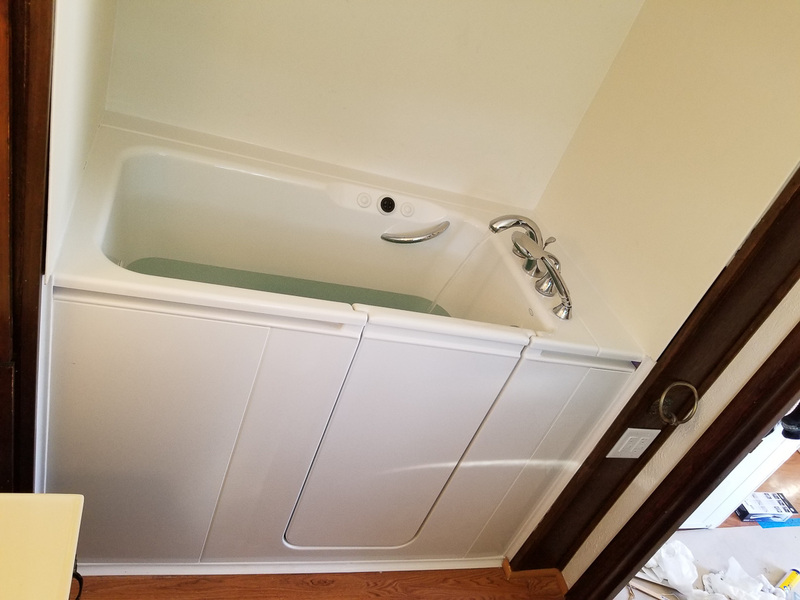 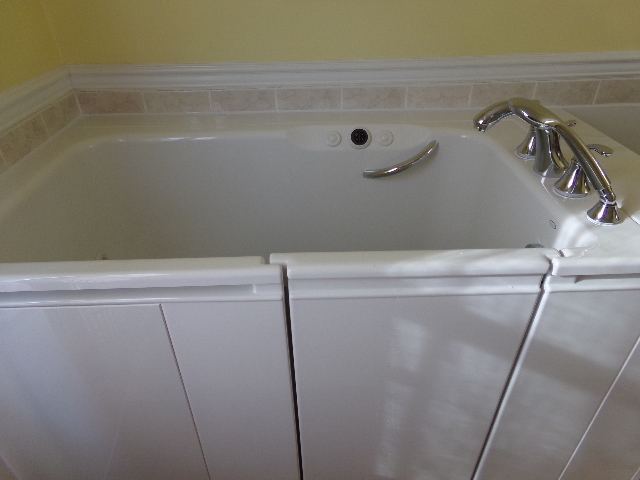 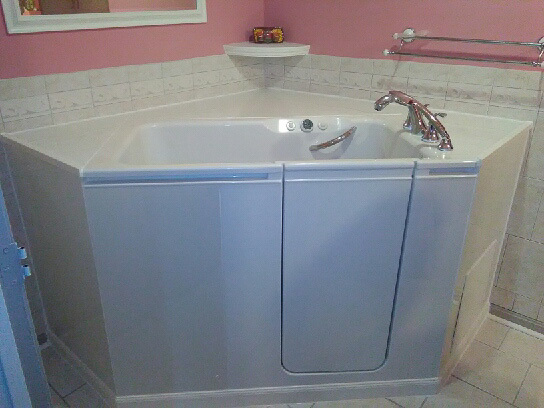 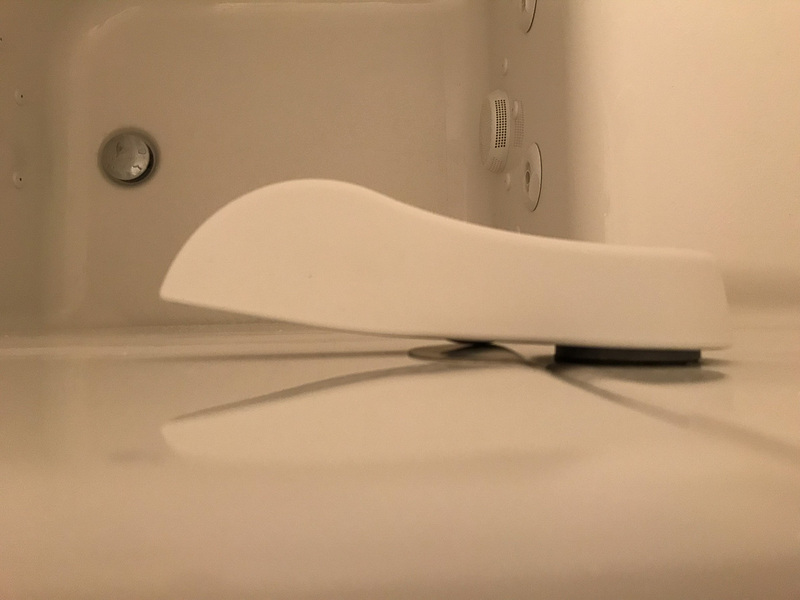 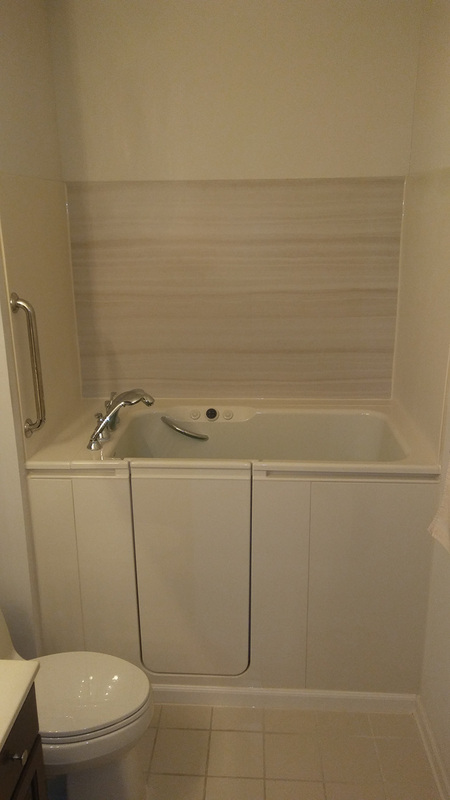 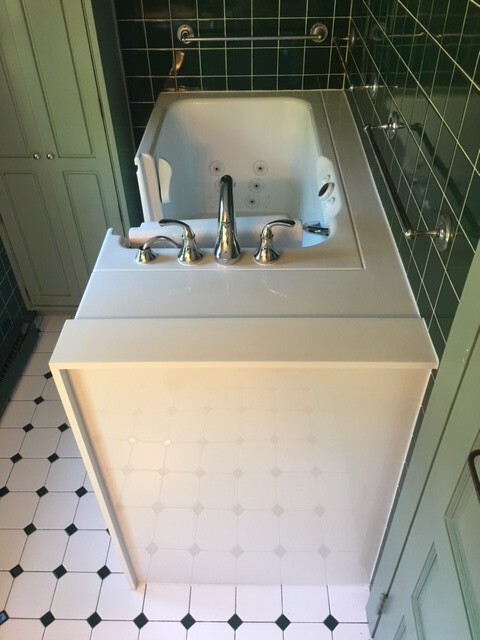 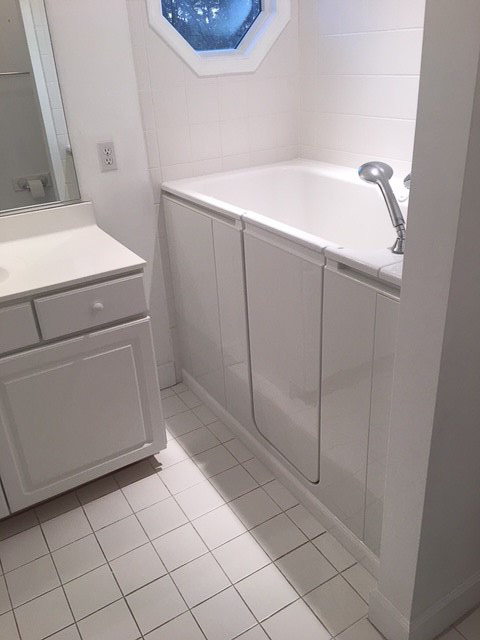 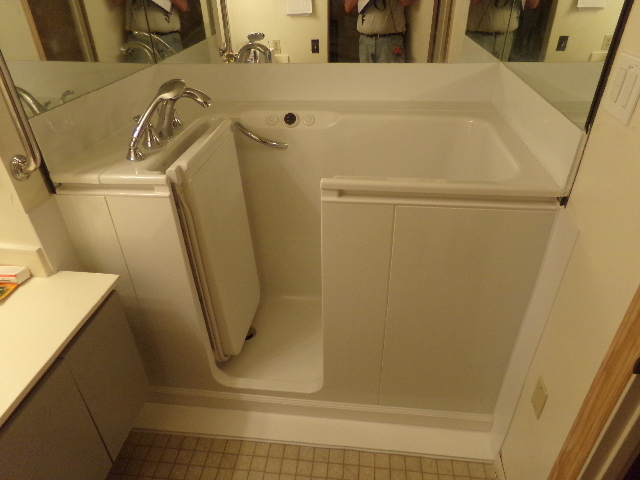 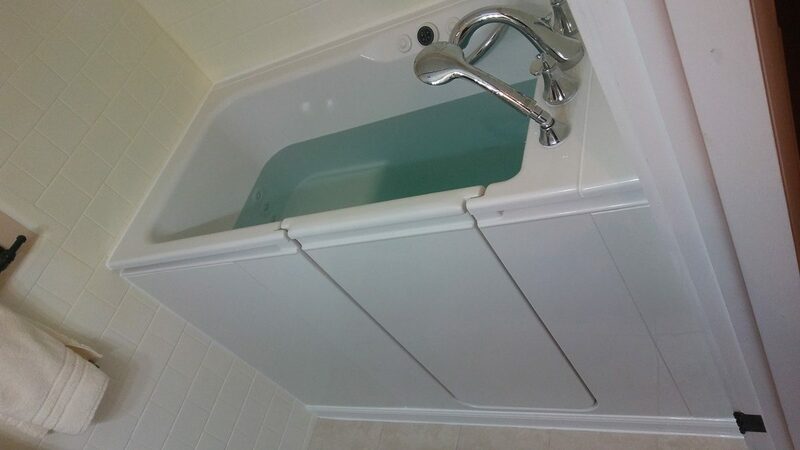 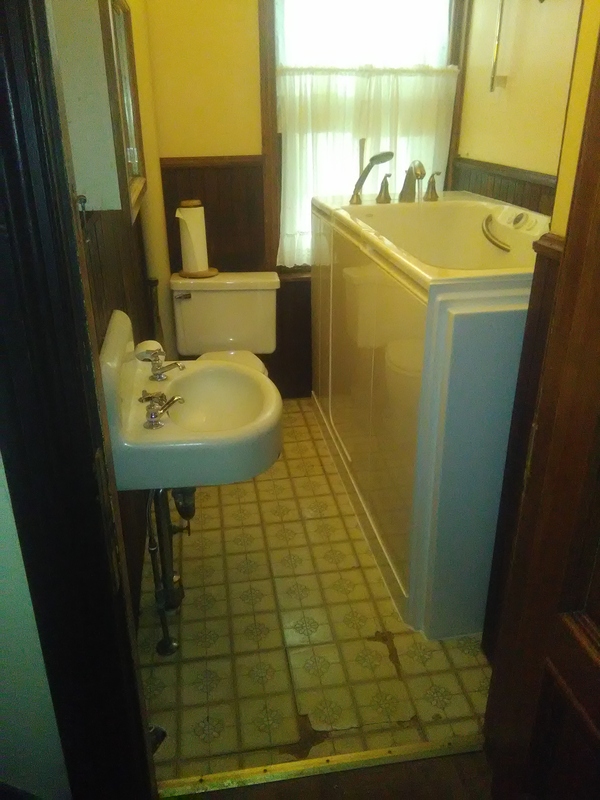 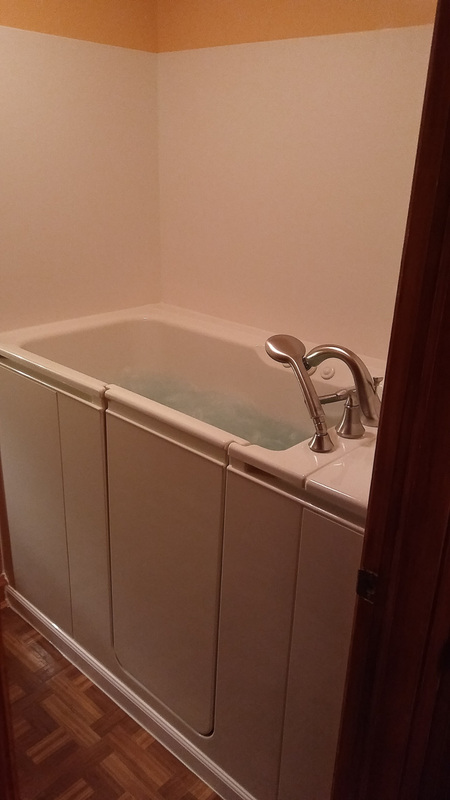 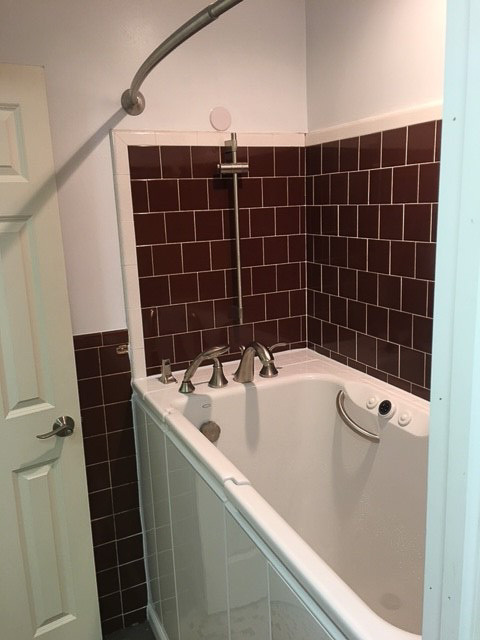 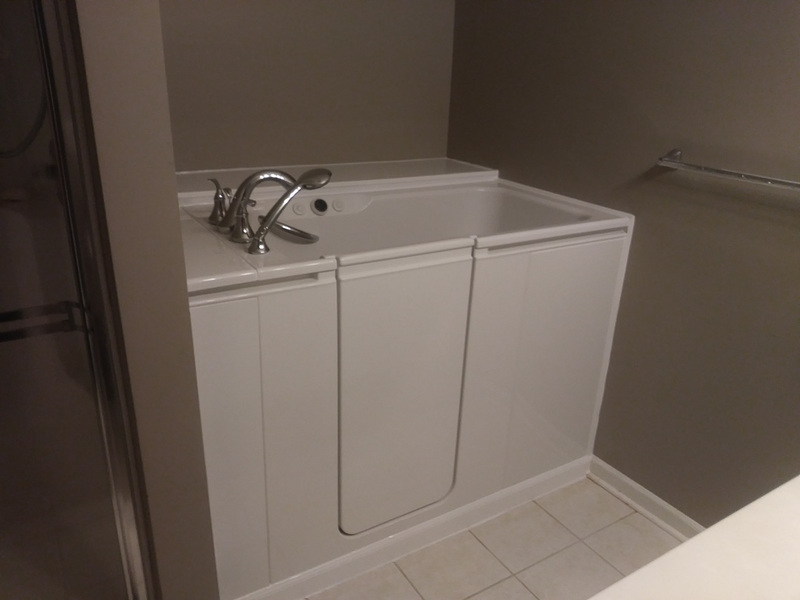 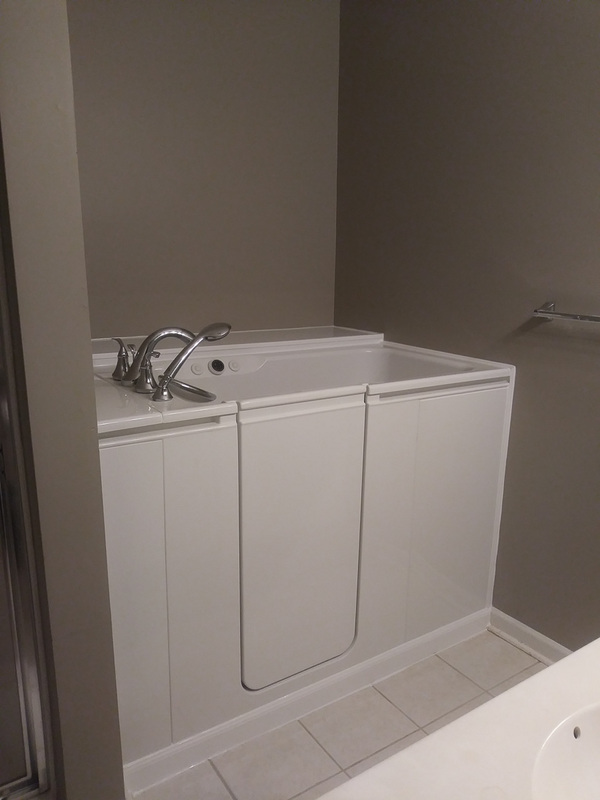 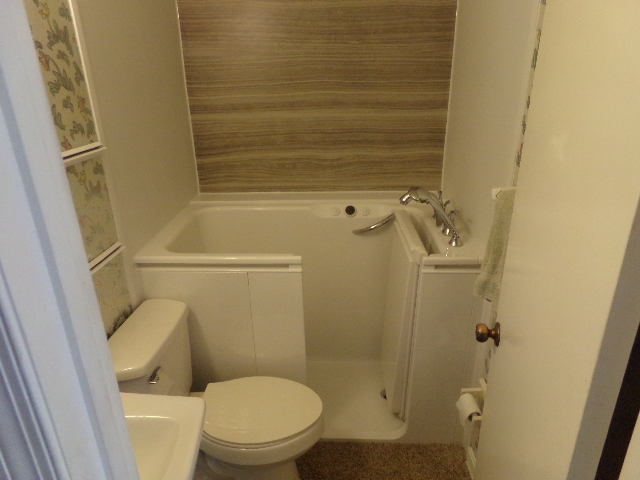 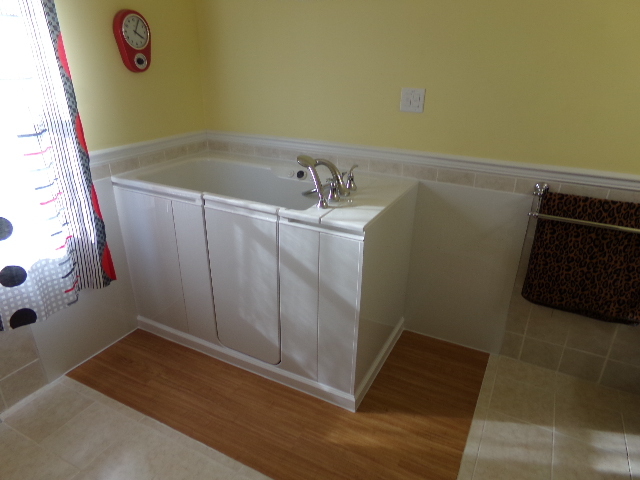 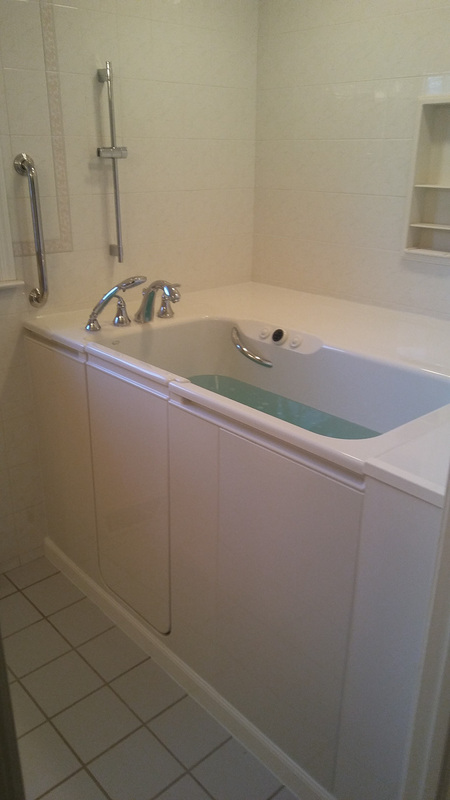 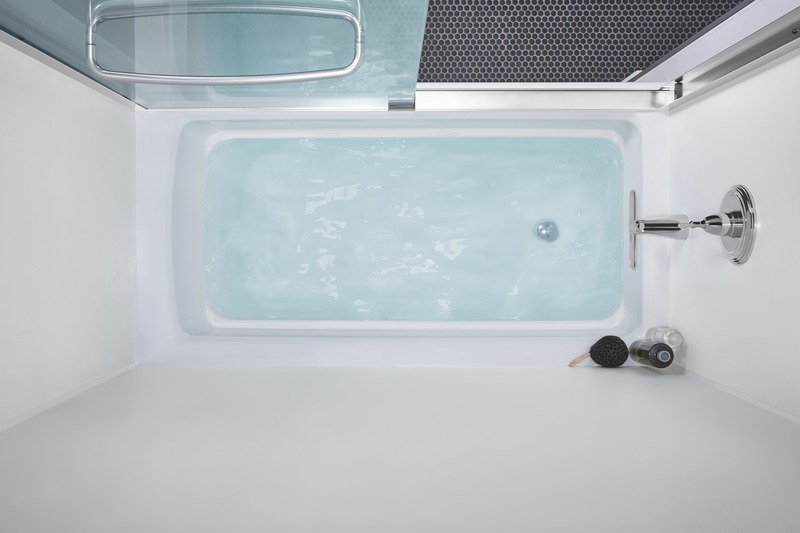 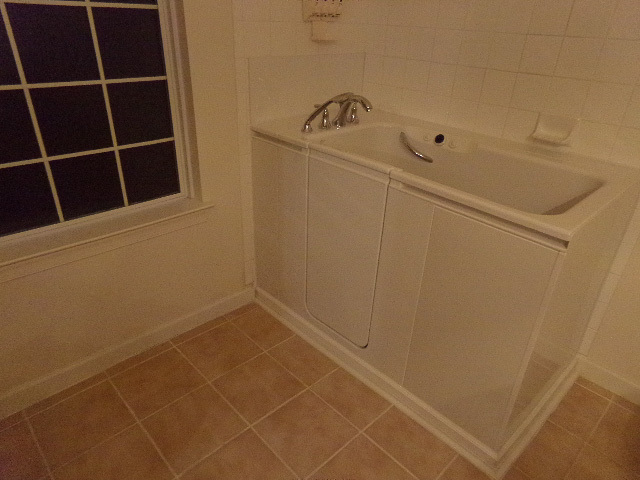 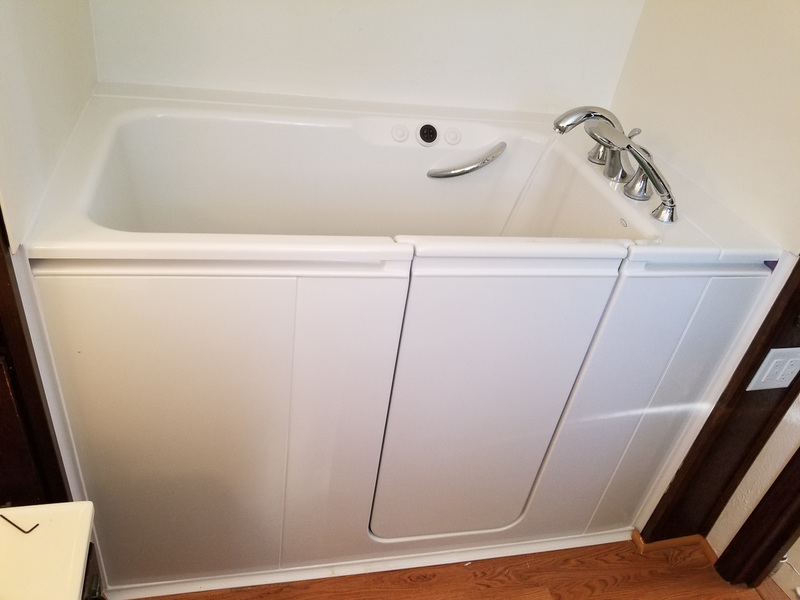 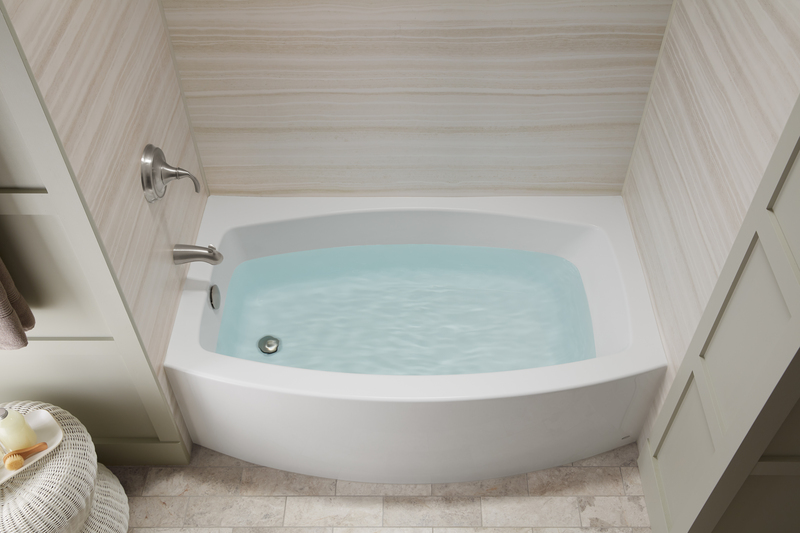 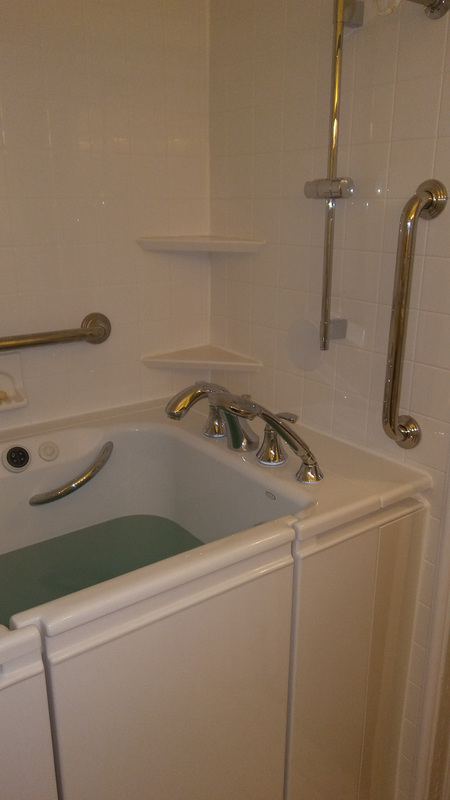 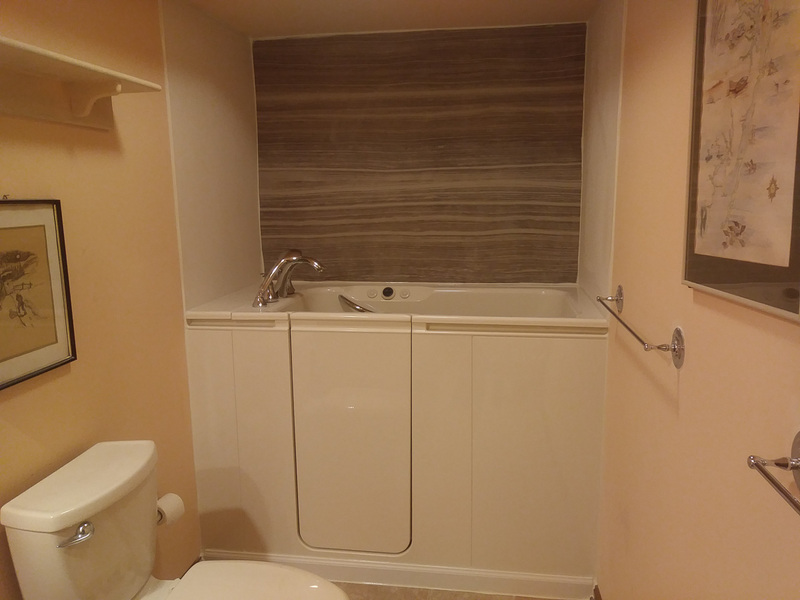 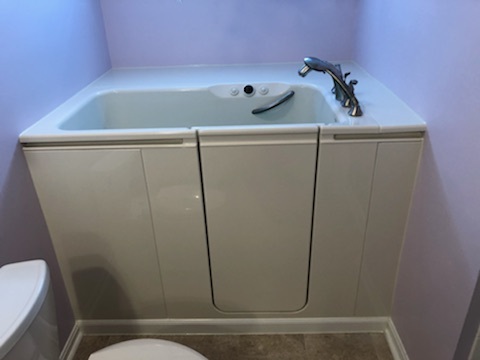 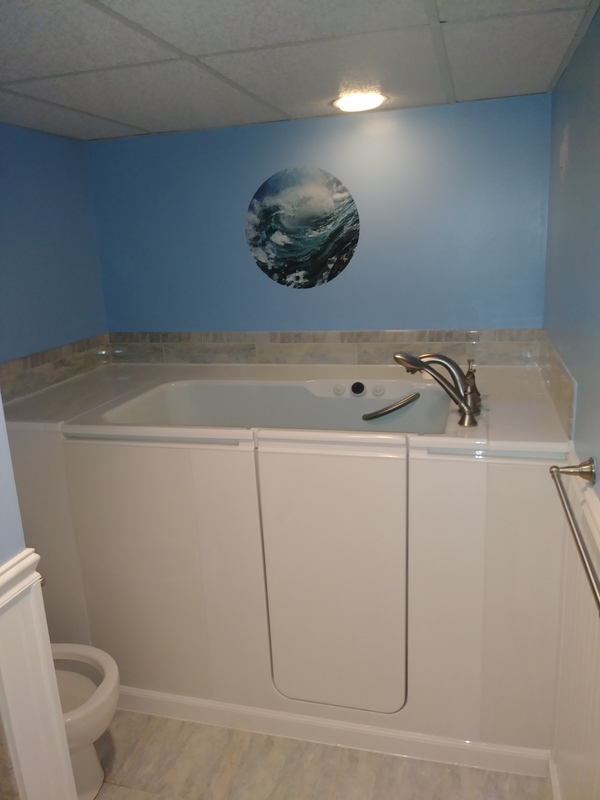 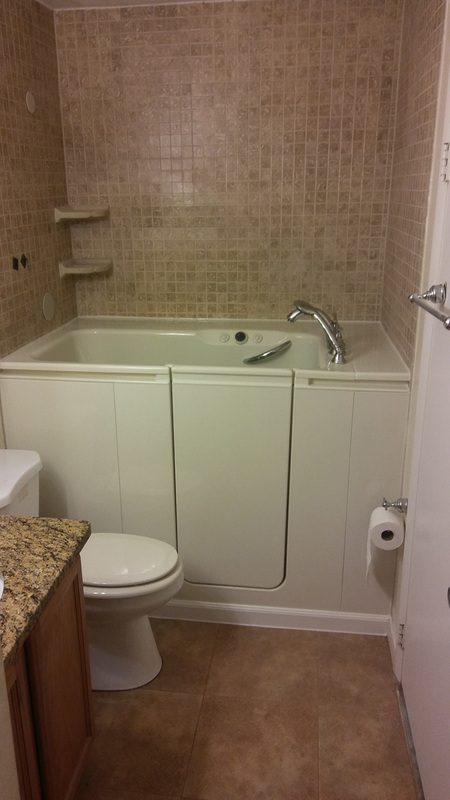 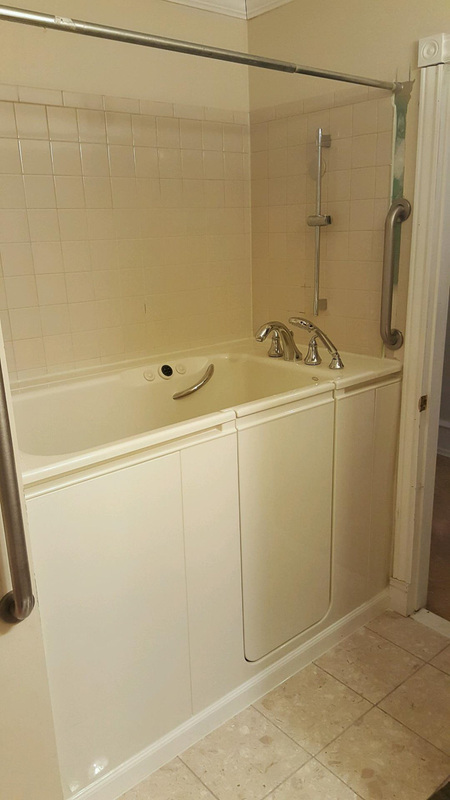 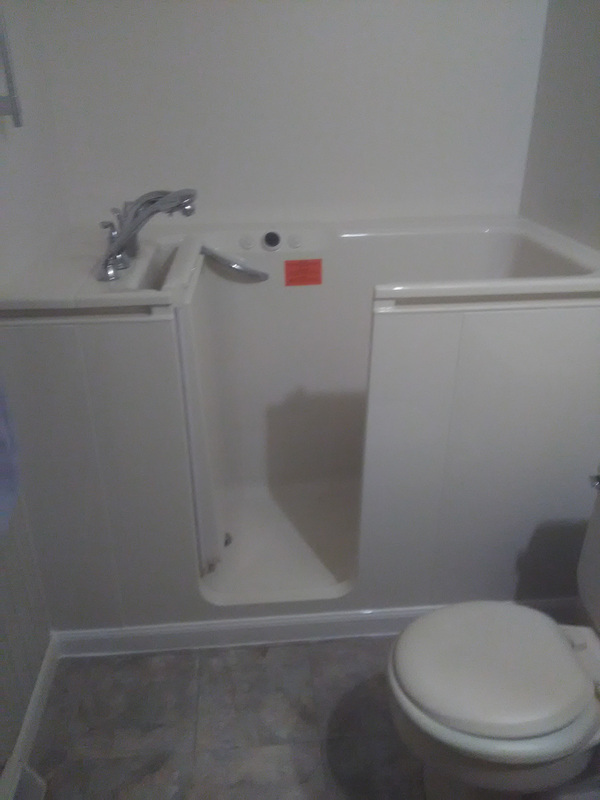 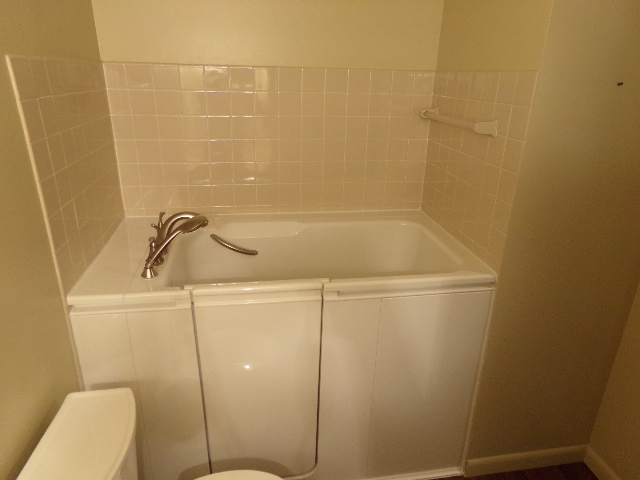 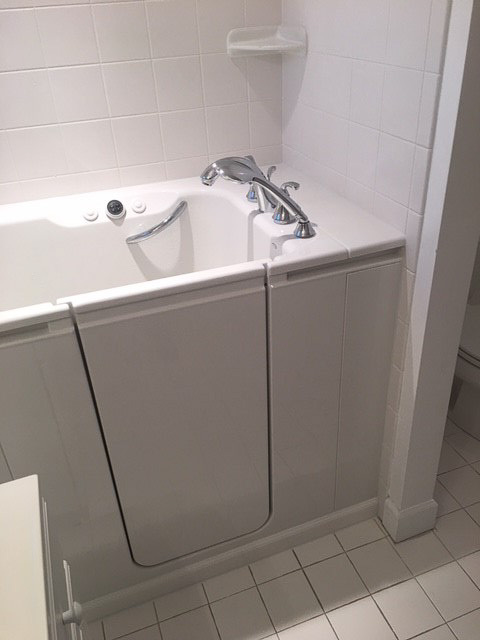 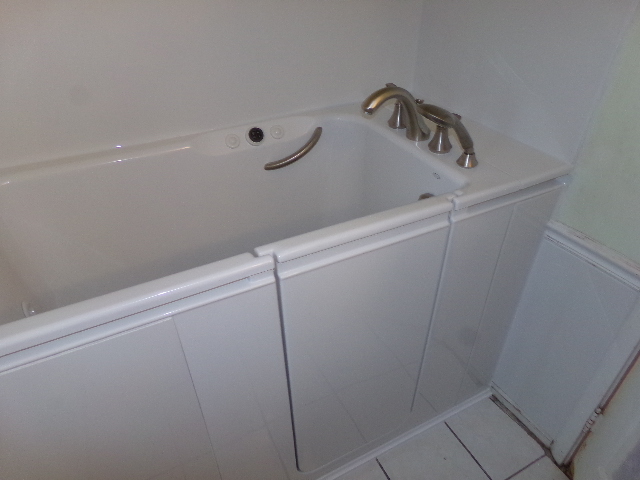 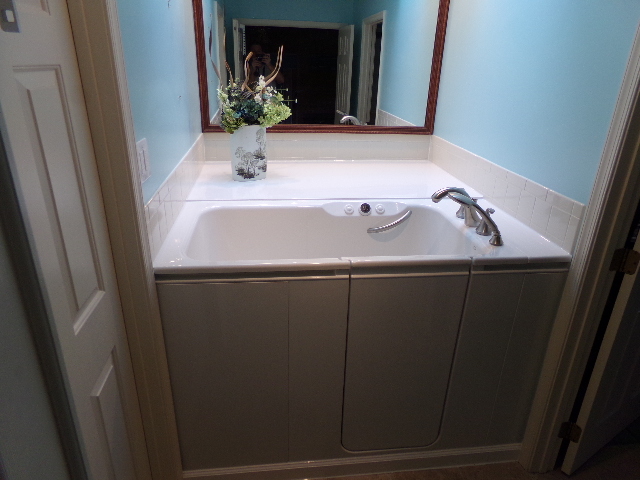 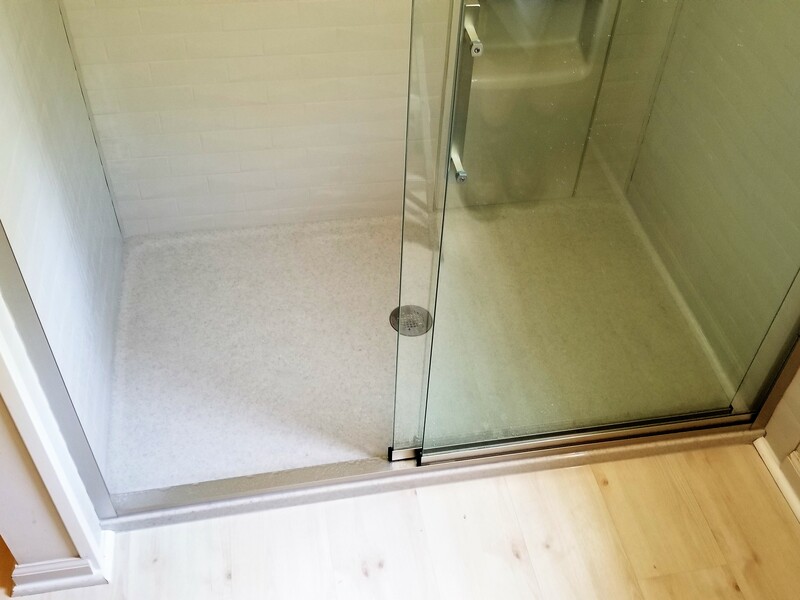 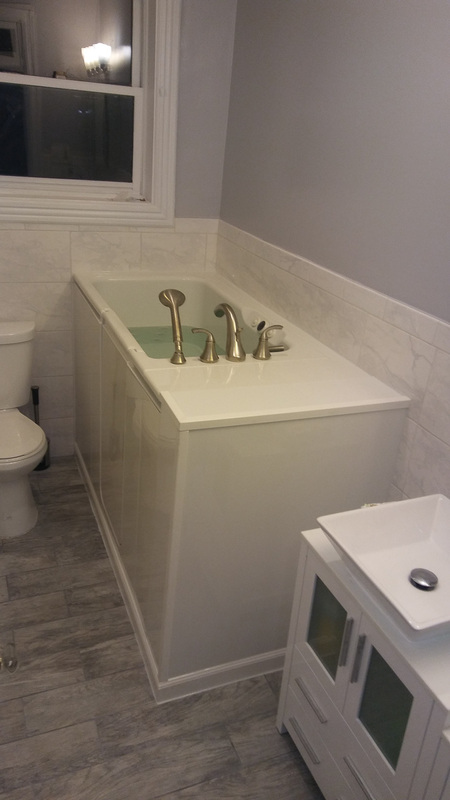 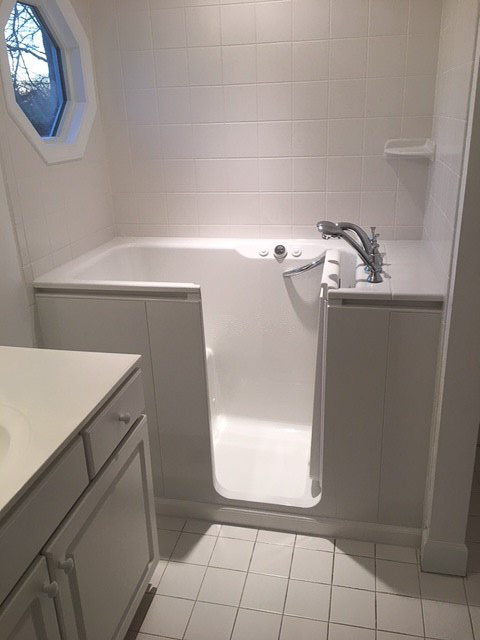 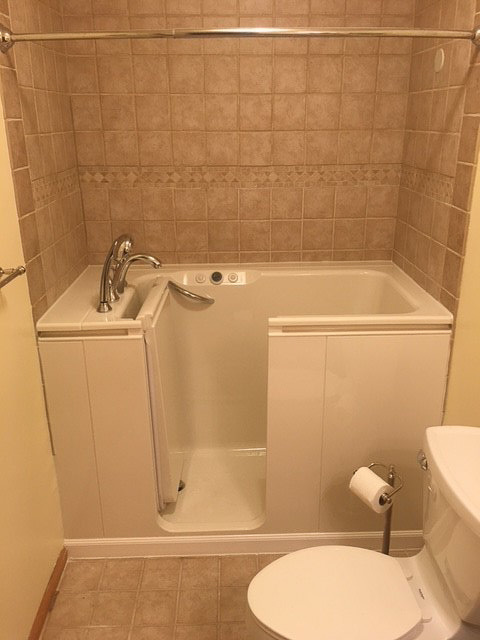 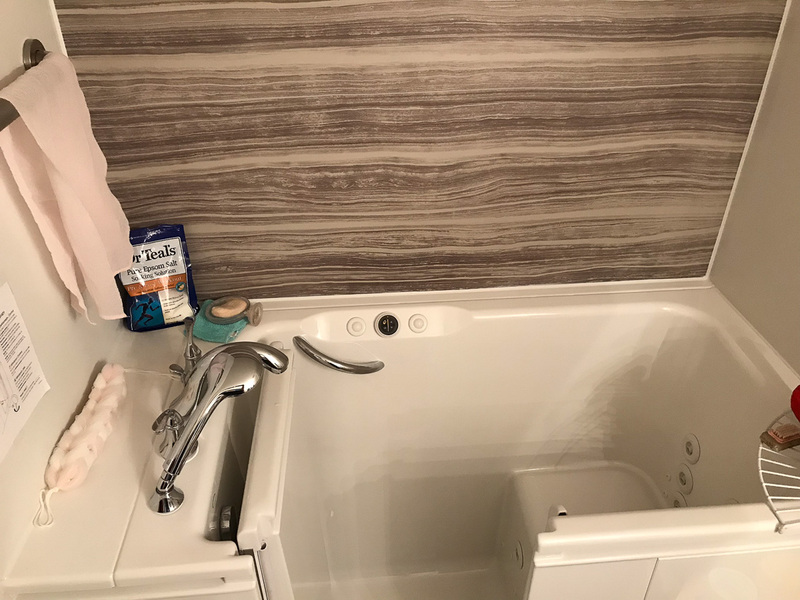 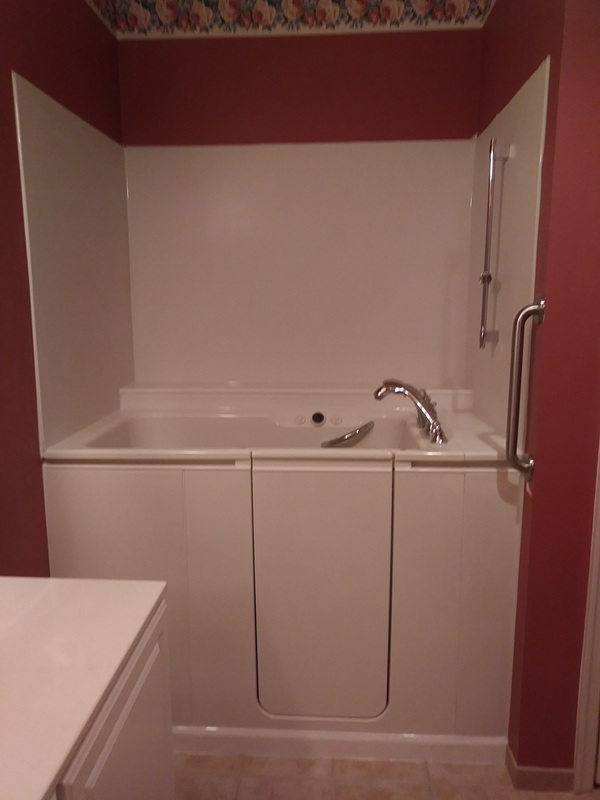 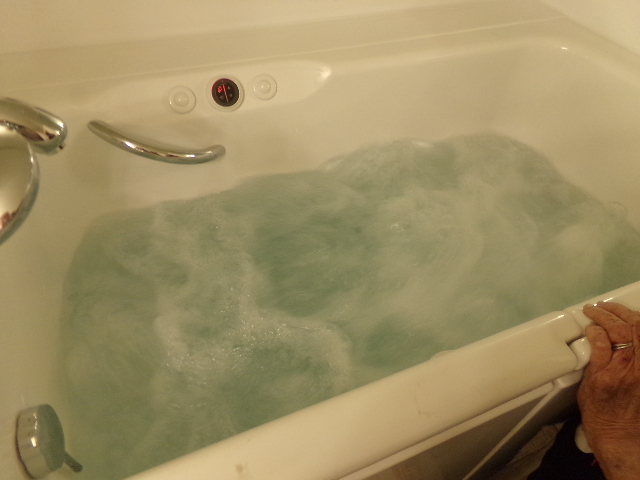 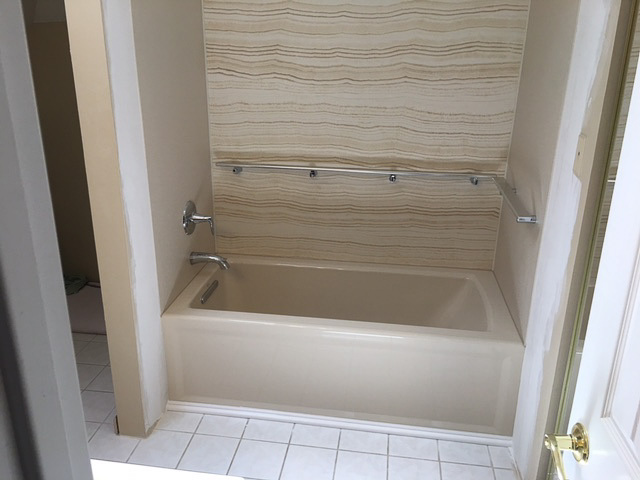 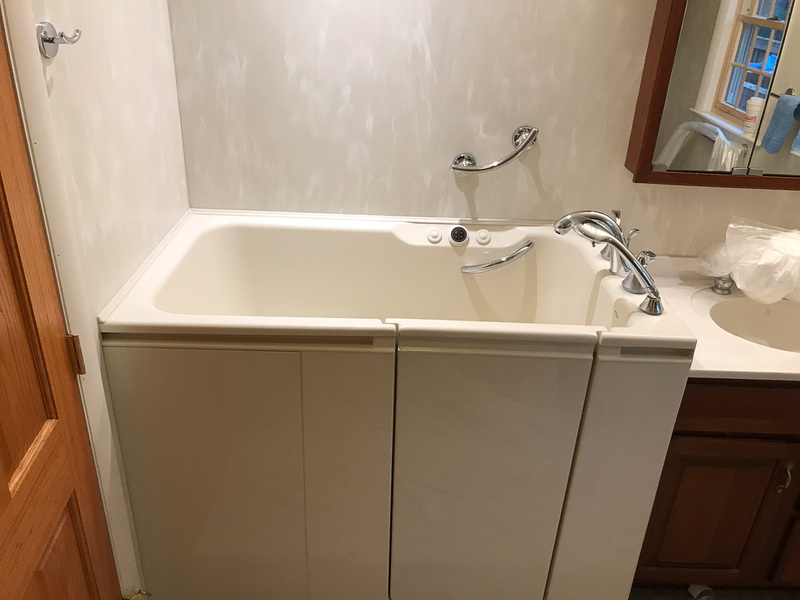 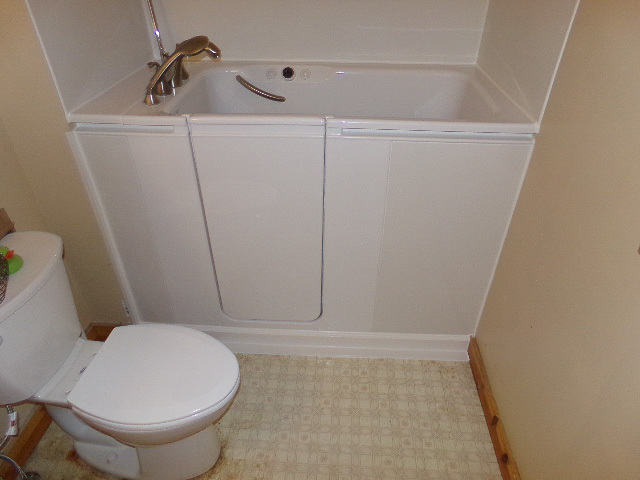 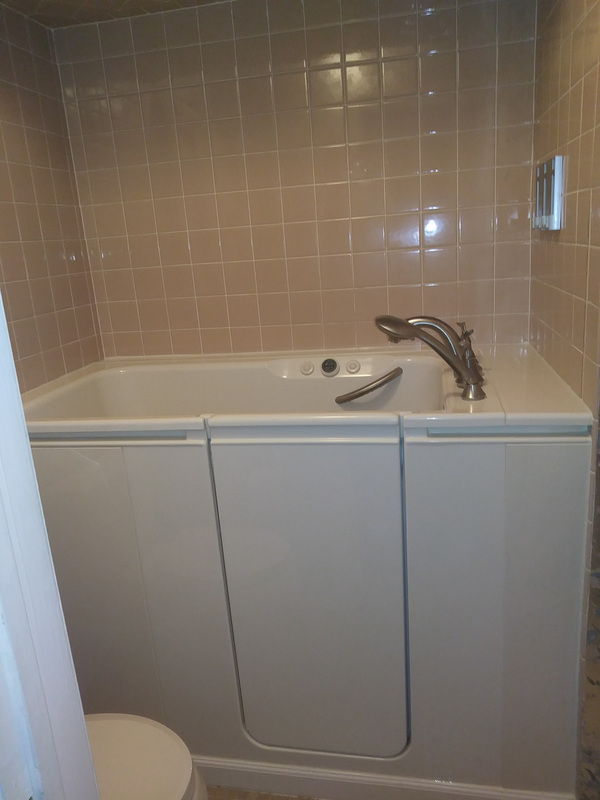 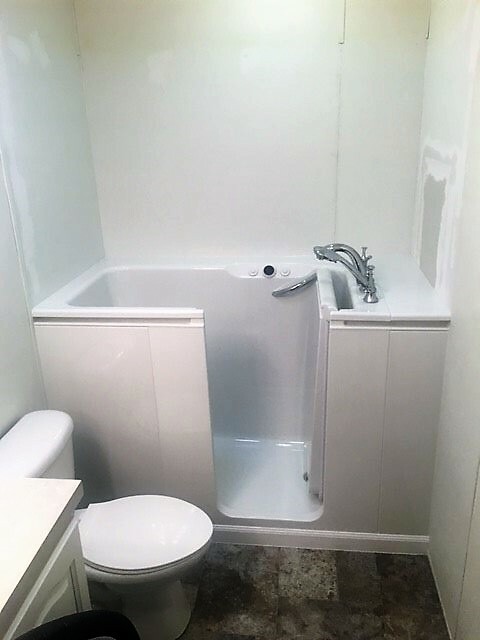 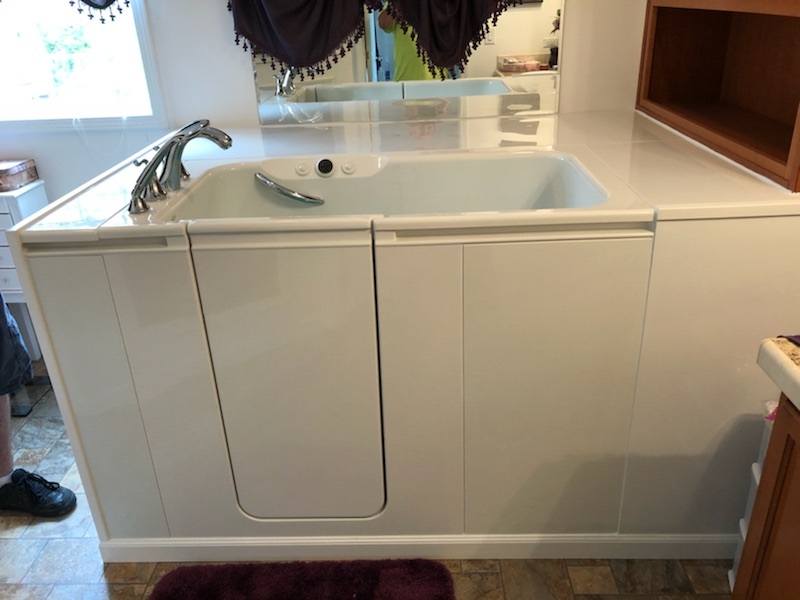 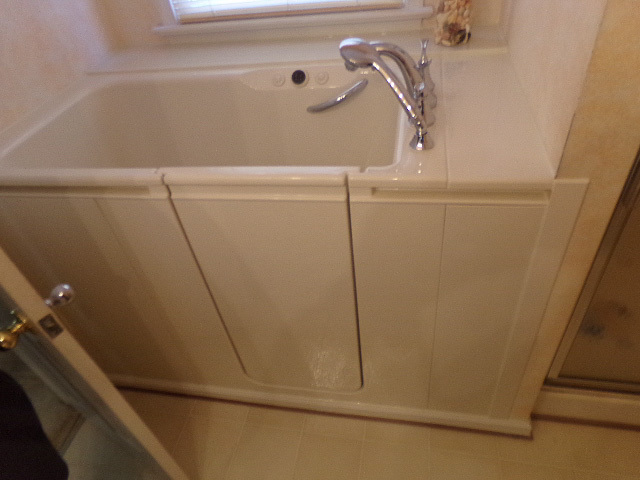 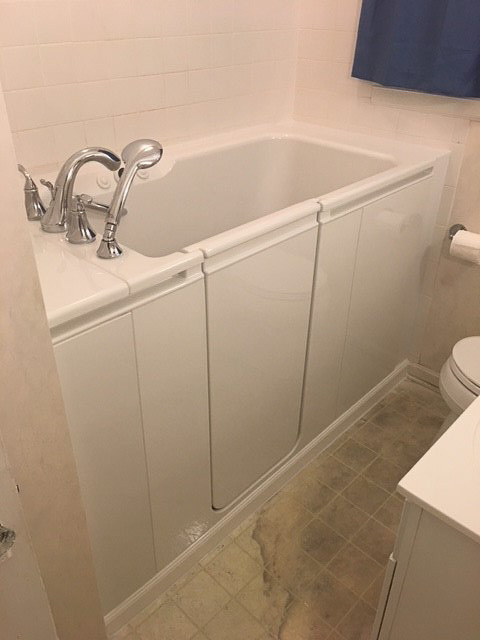 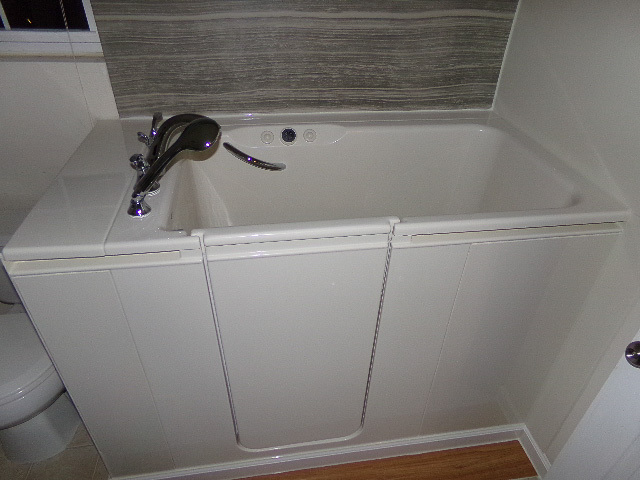 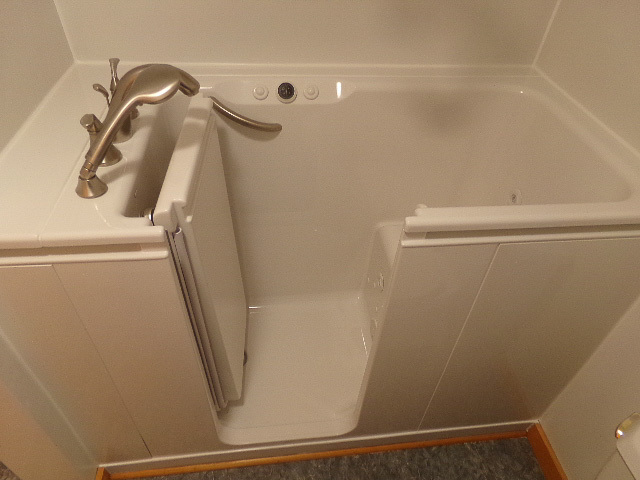 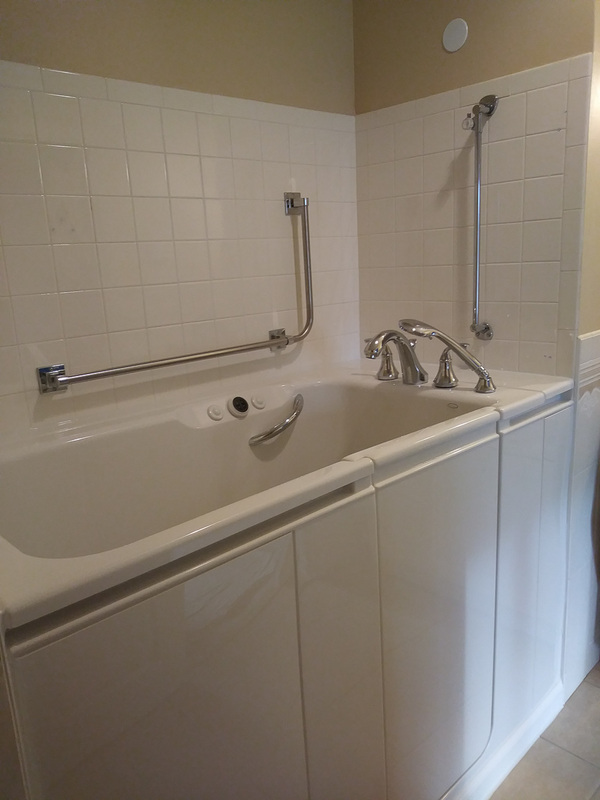 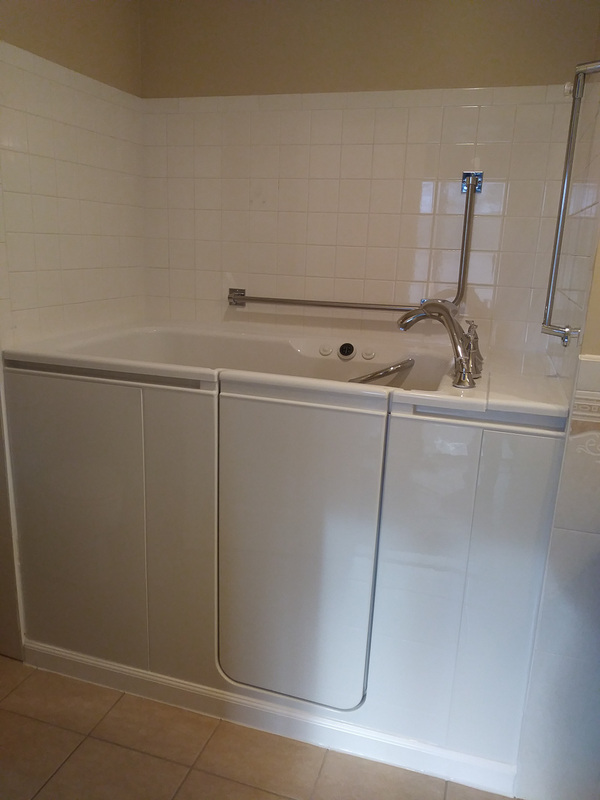 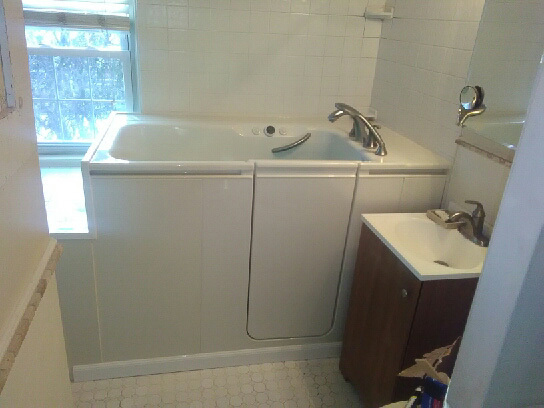 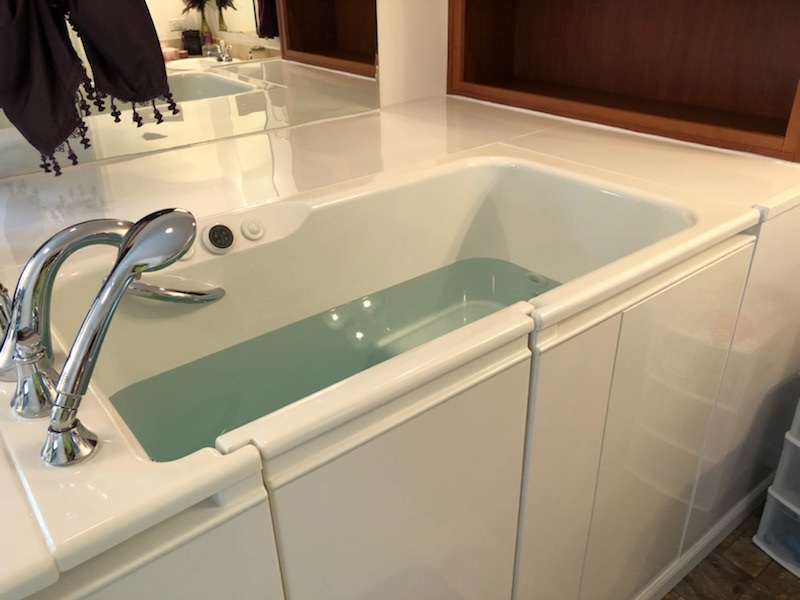 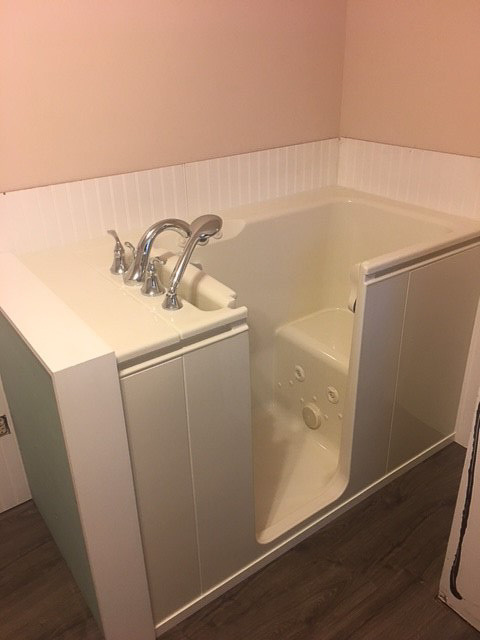 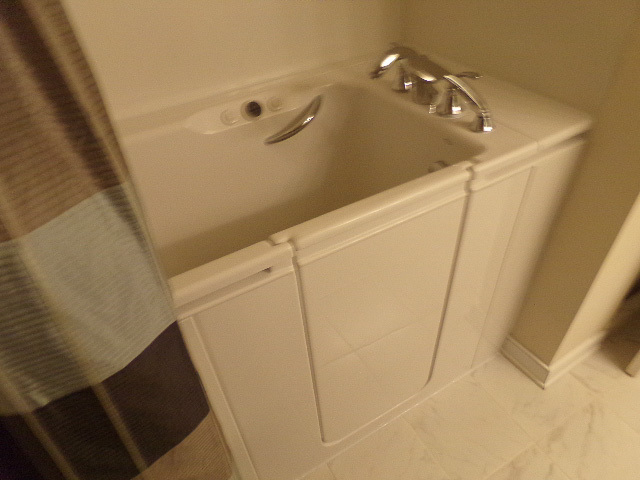 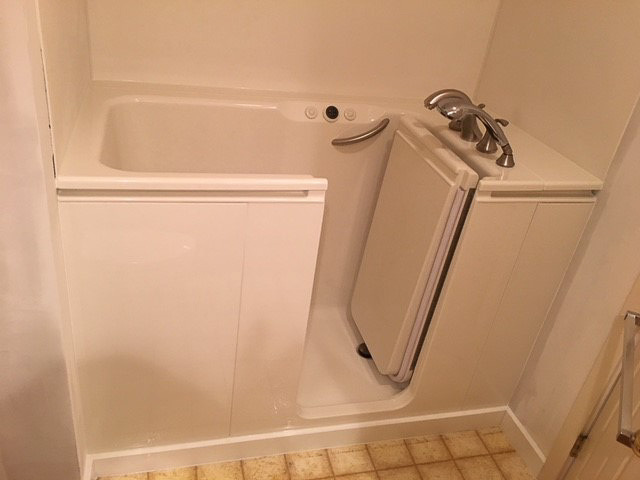 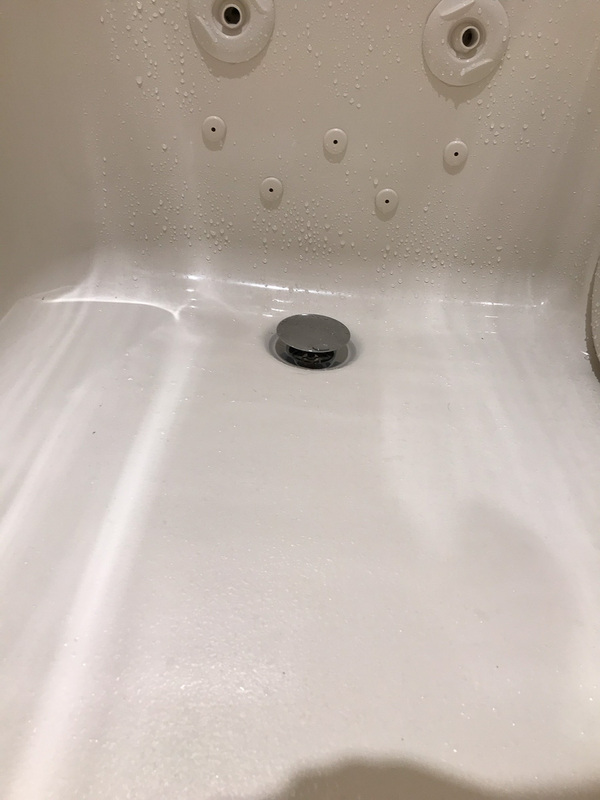 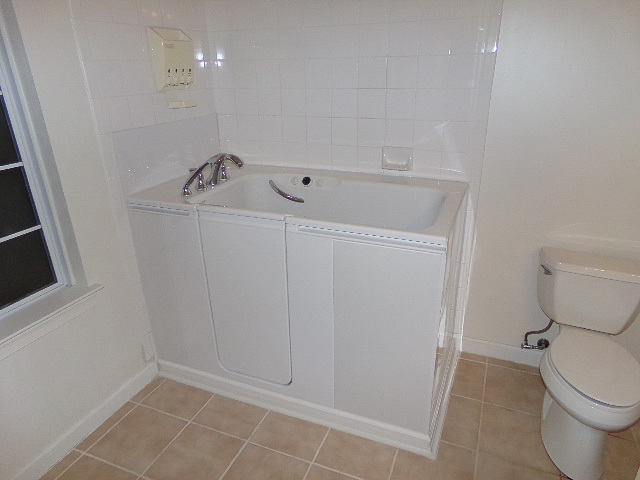 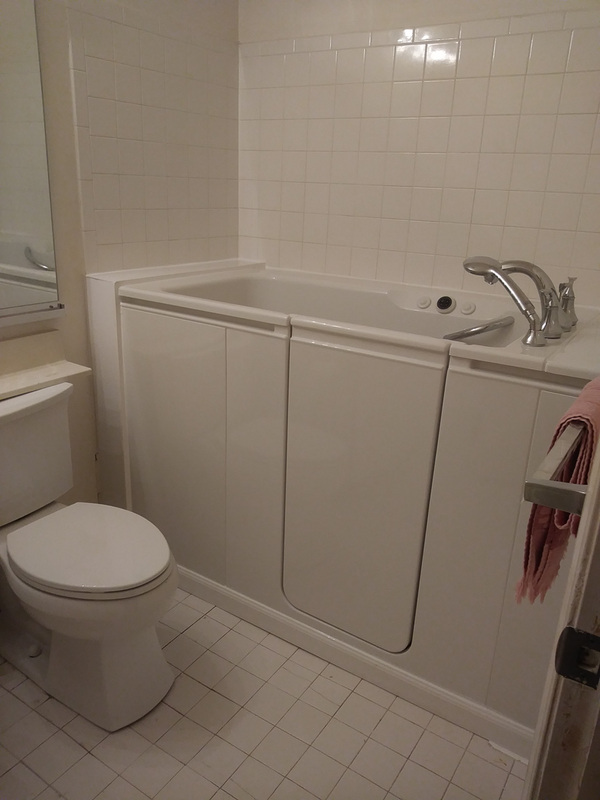 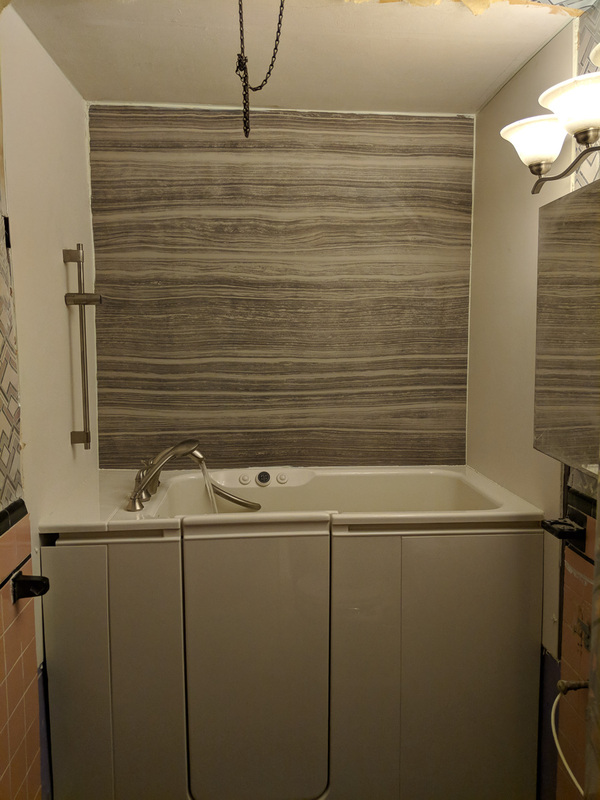 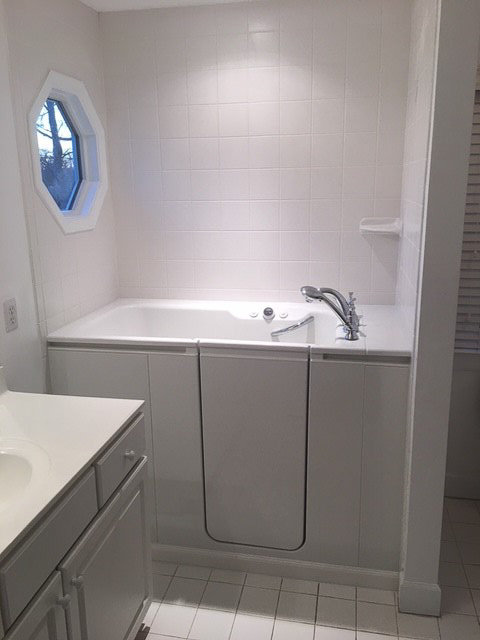 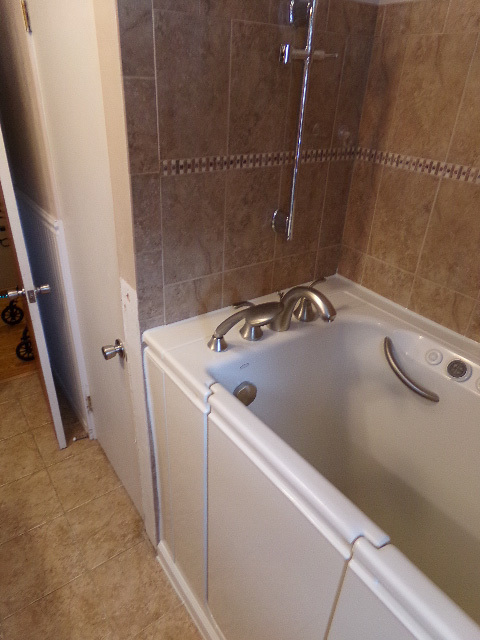 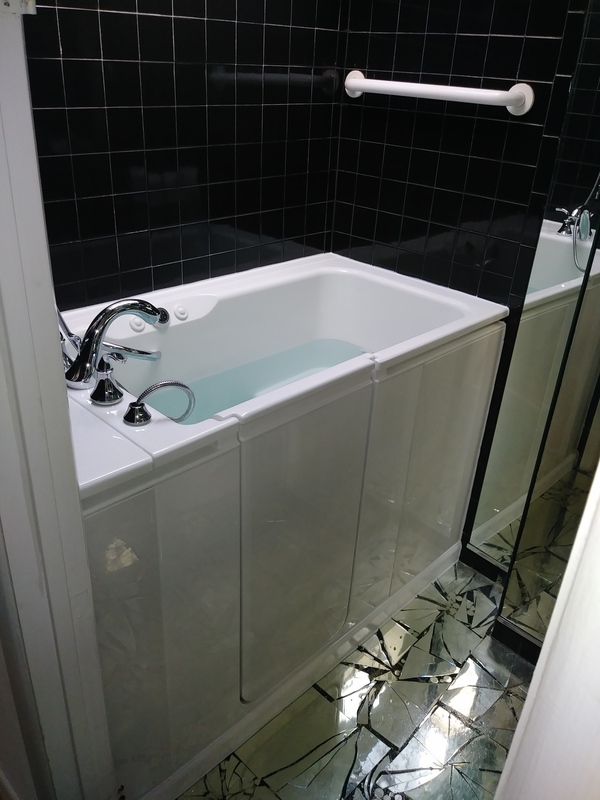 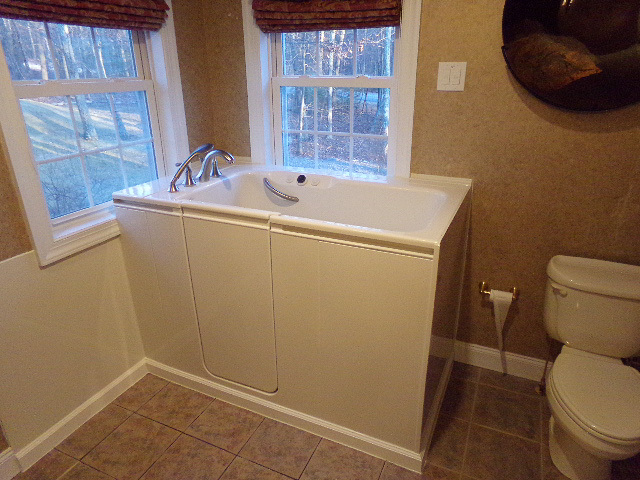 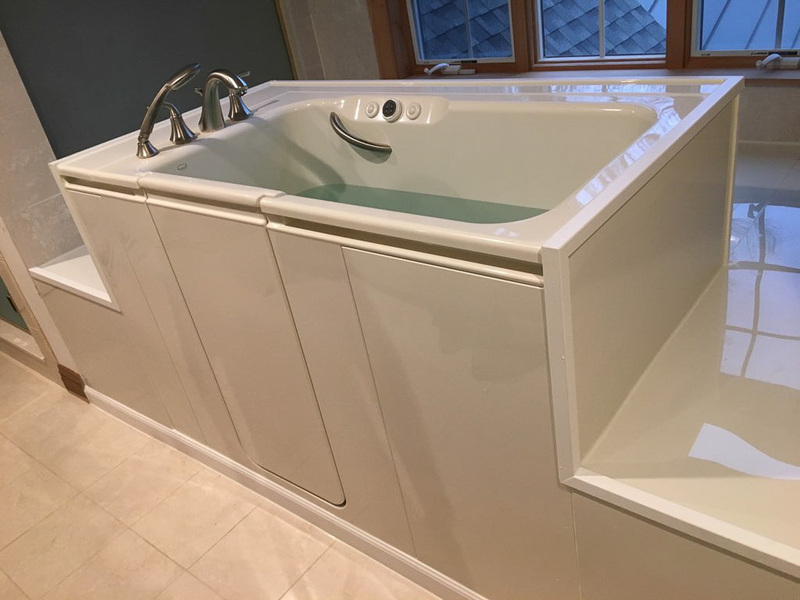 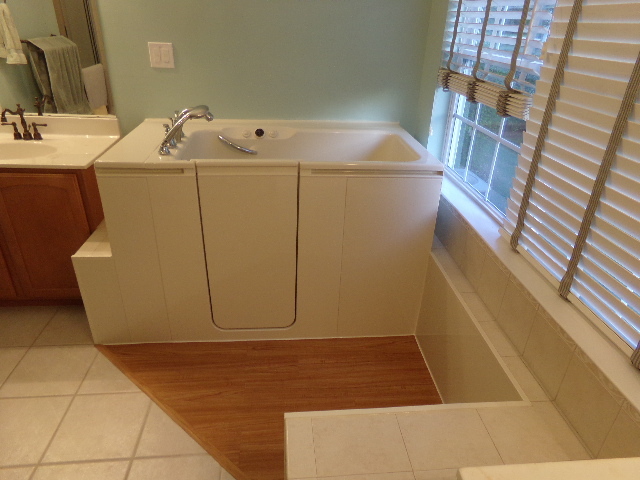 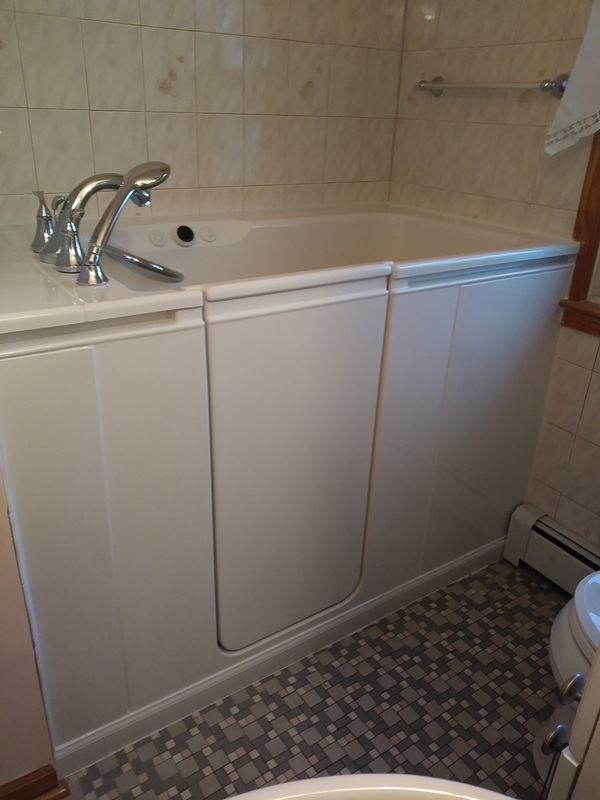 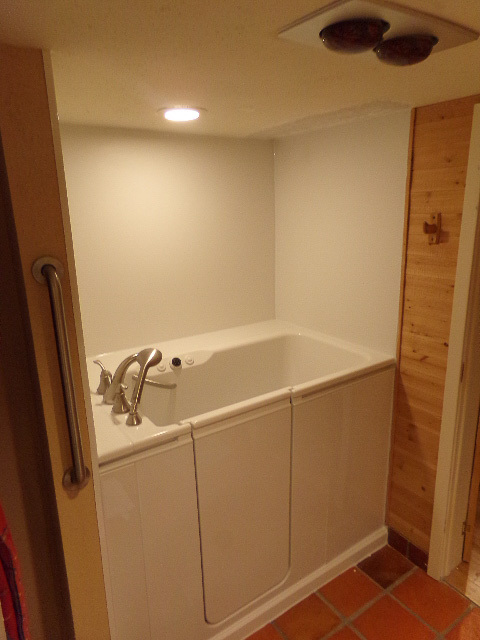 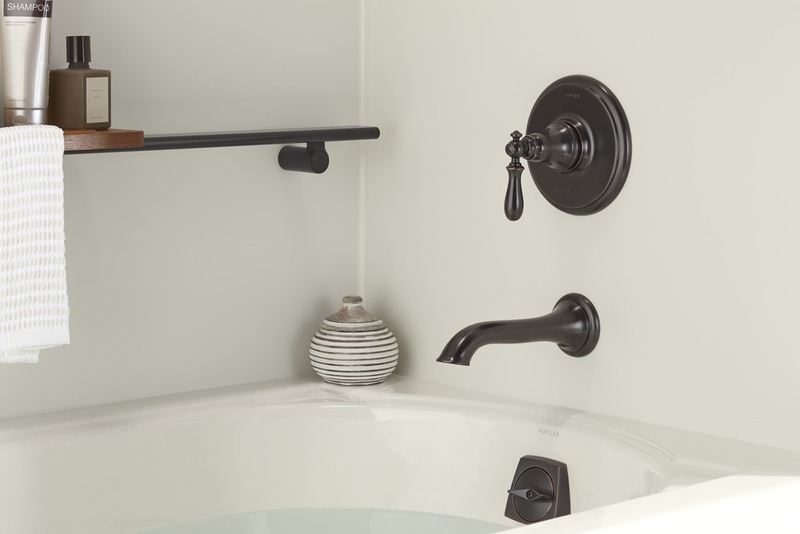 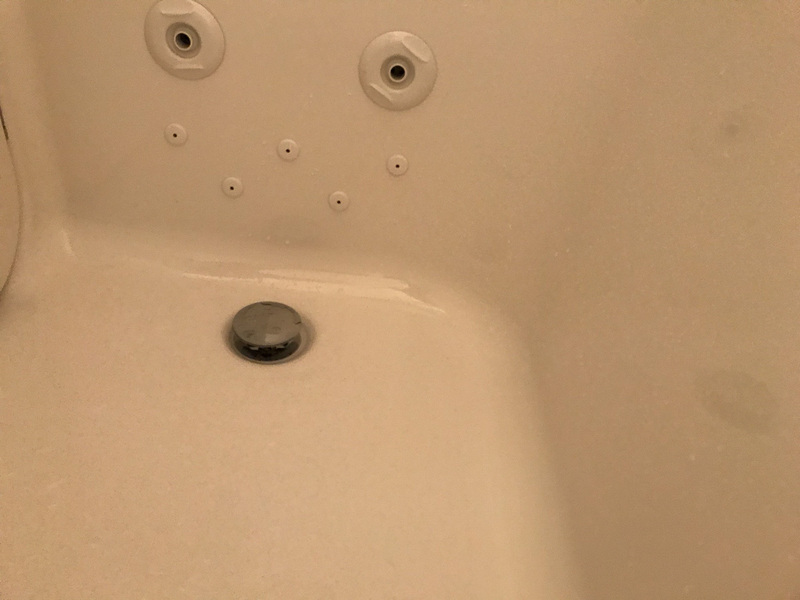 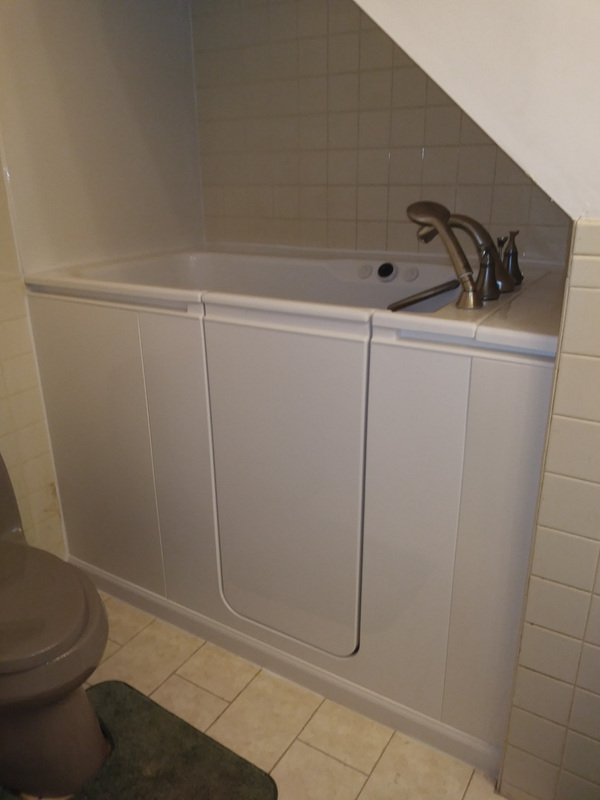 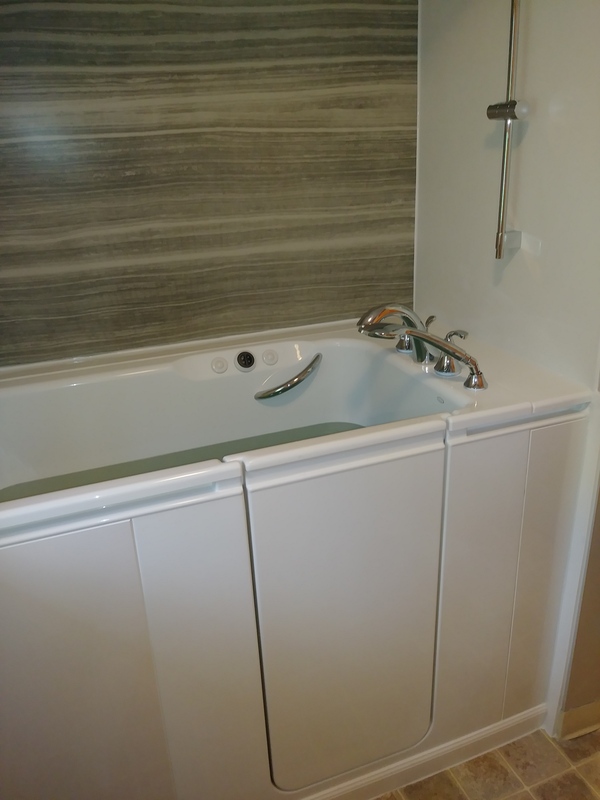 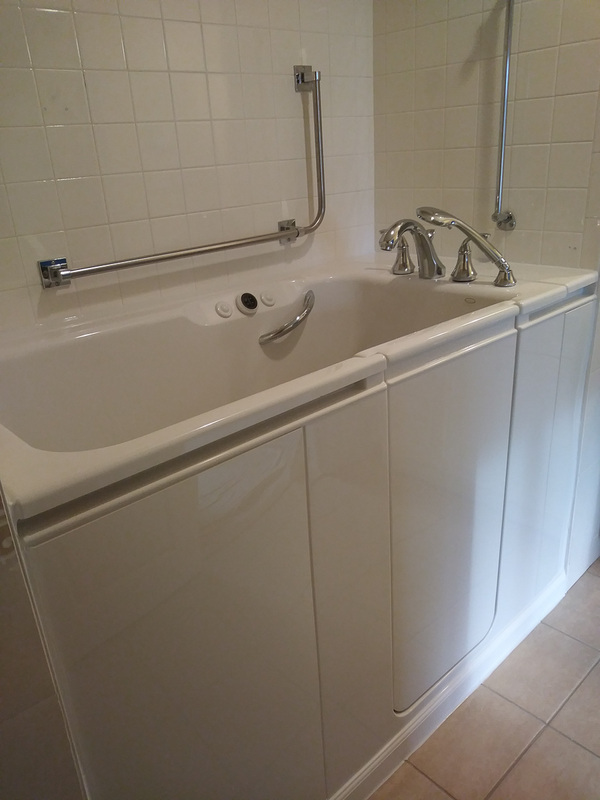 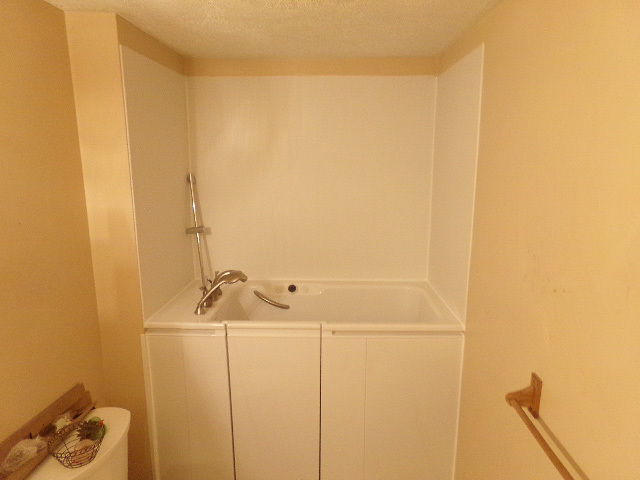 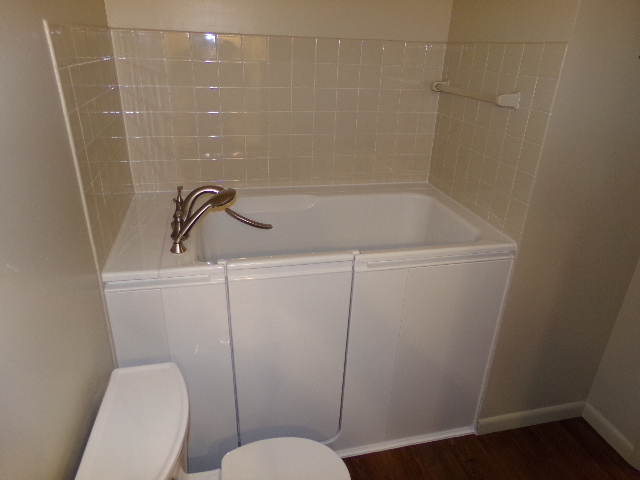 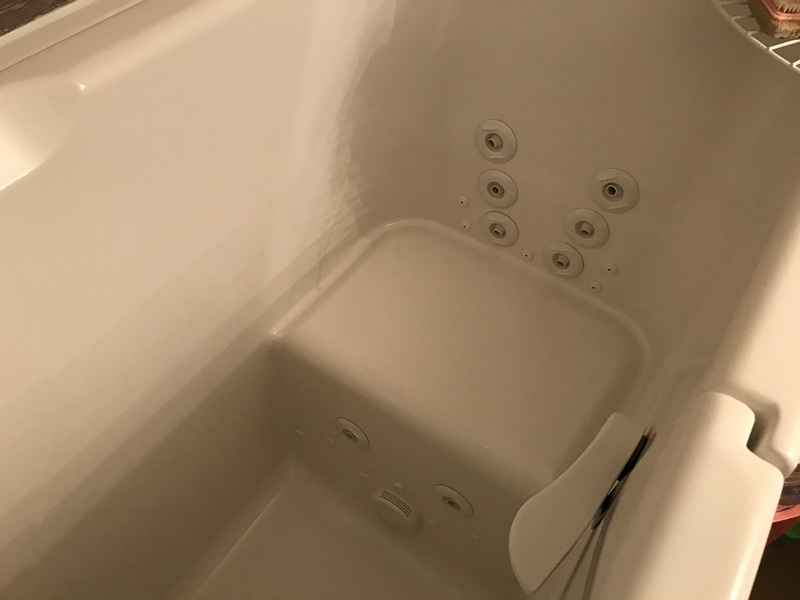 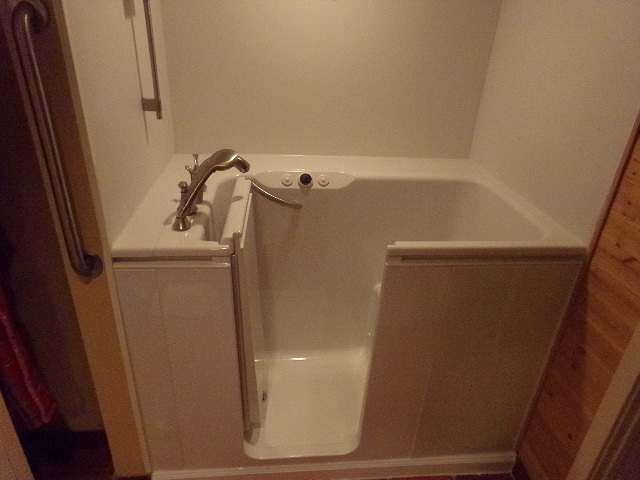 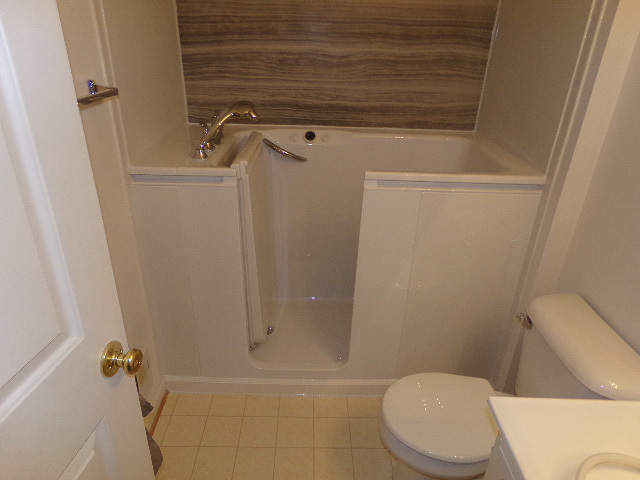 Bathtub replacement – When we remove your bathtub and install a new one in its place, you’ll have a range of tub styles and colors to choose from. 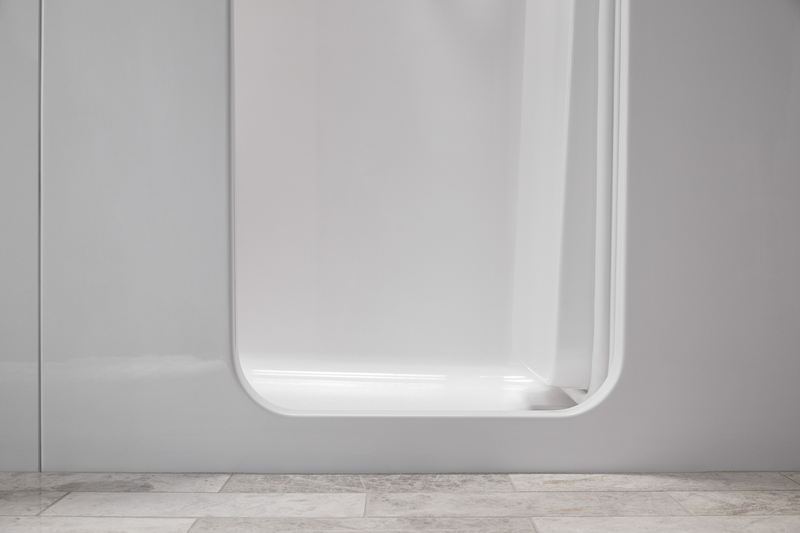 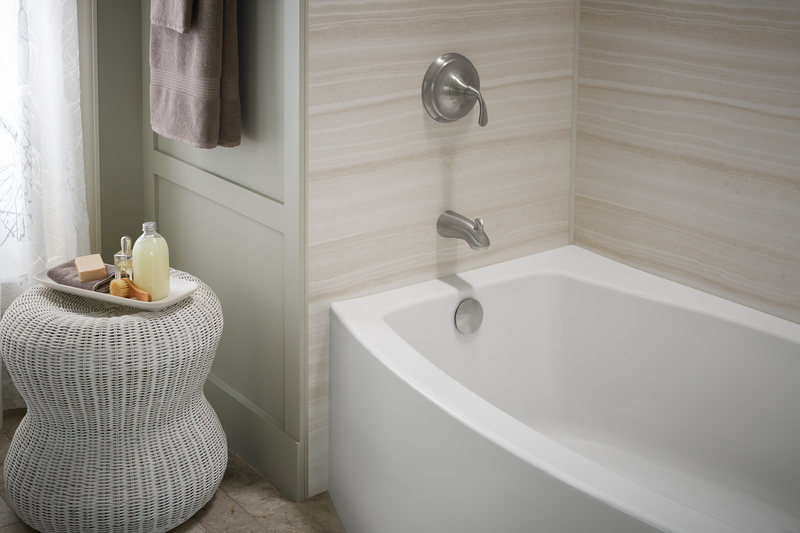 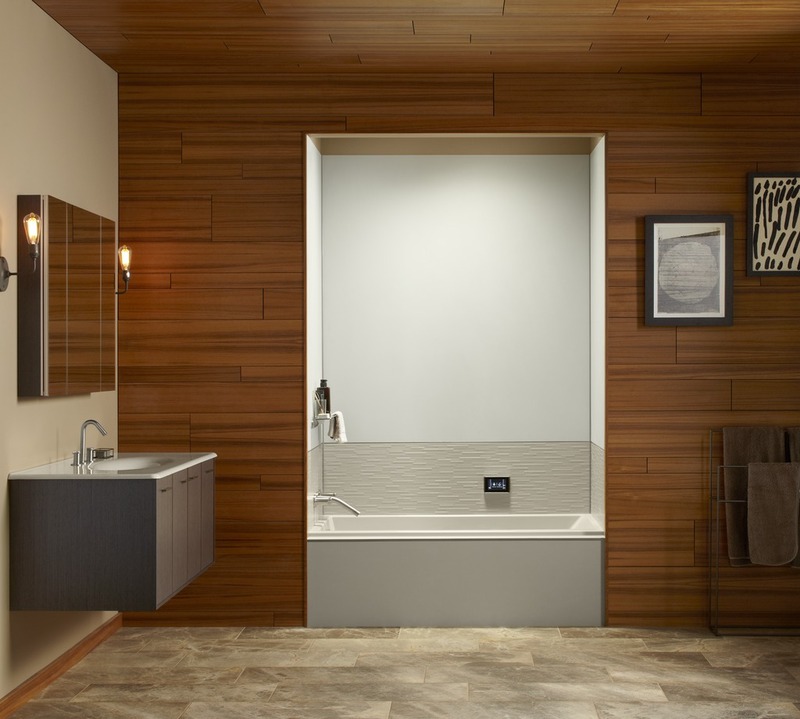 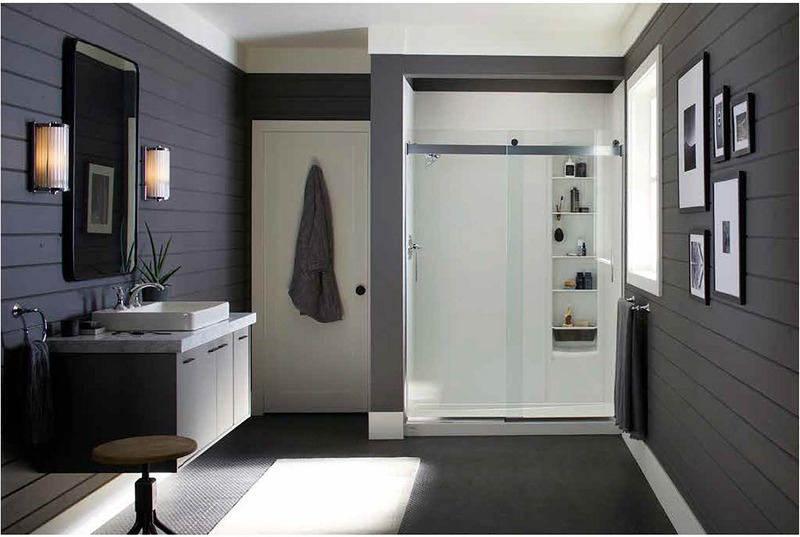 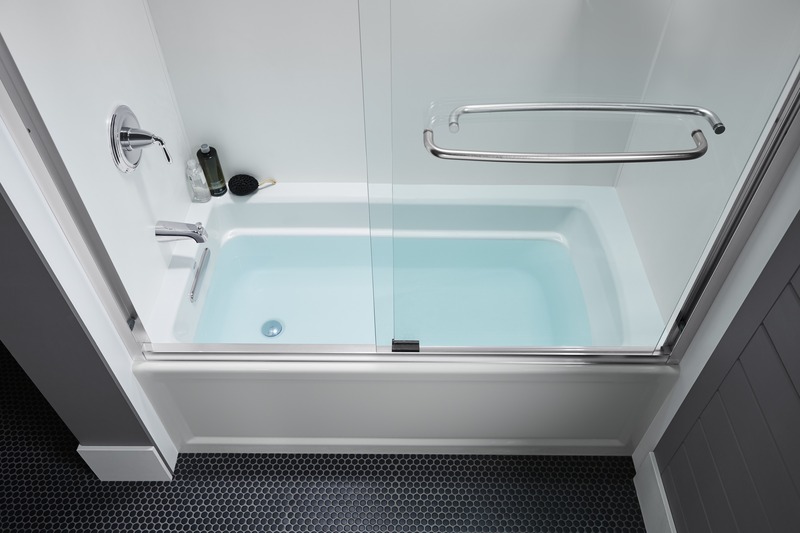 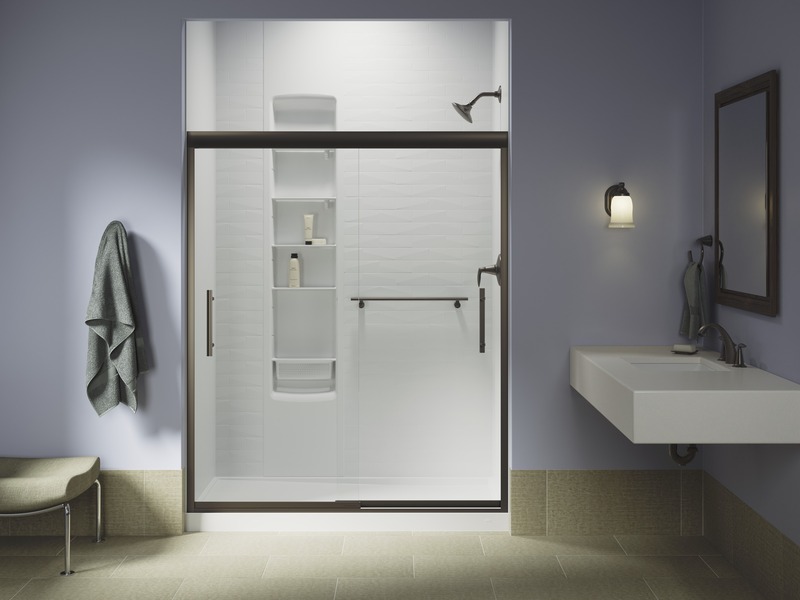 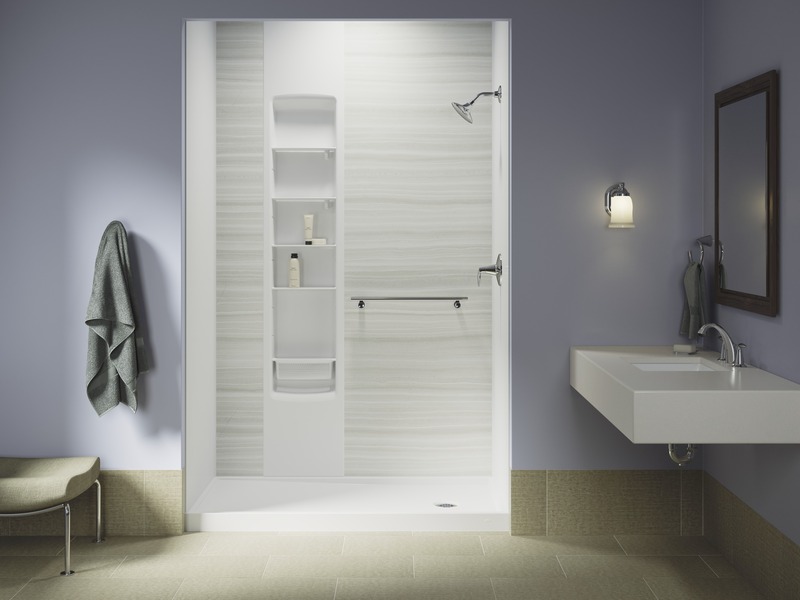 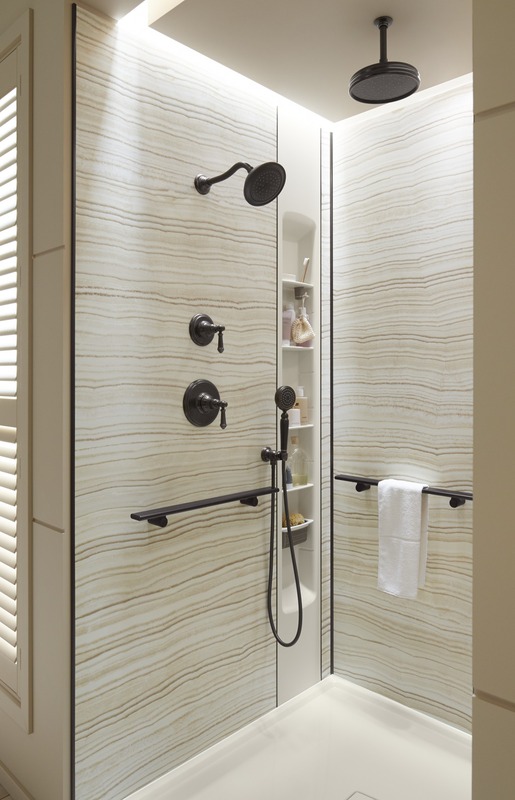 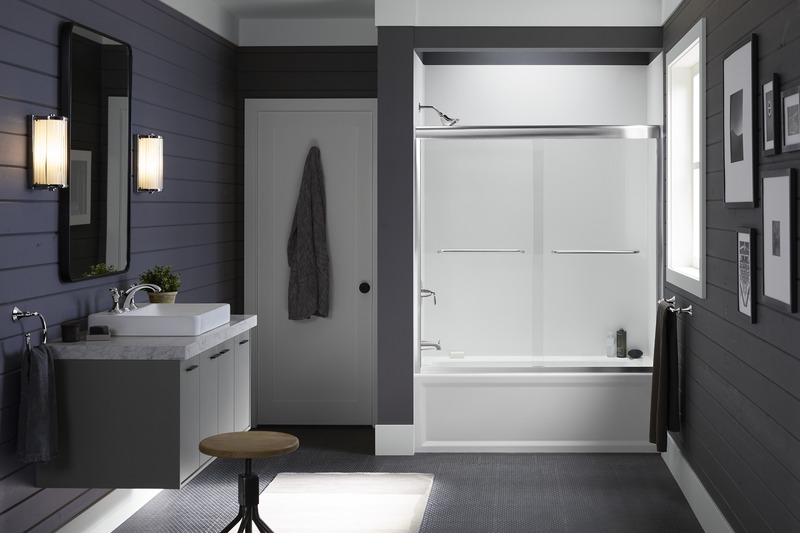 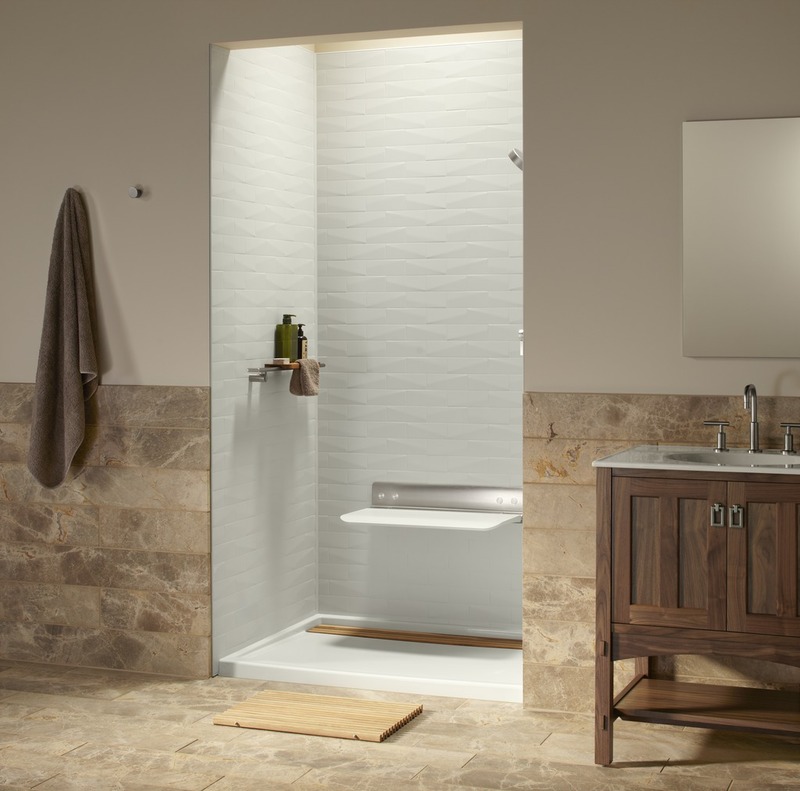 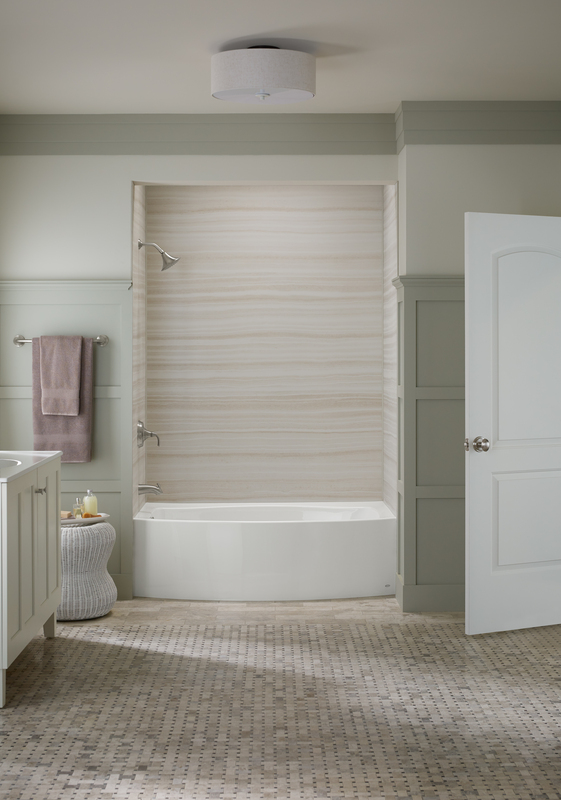 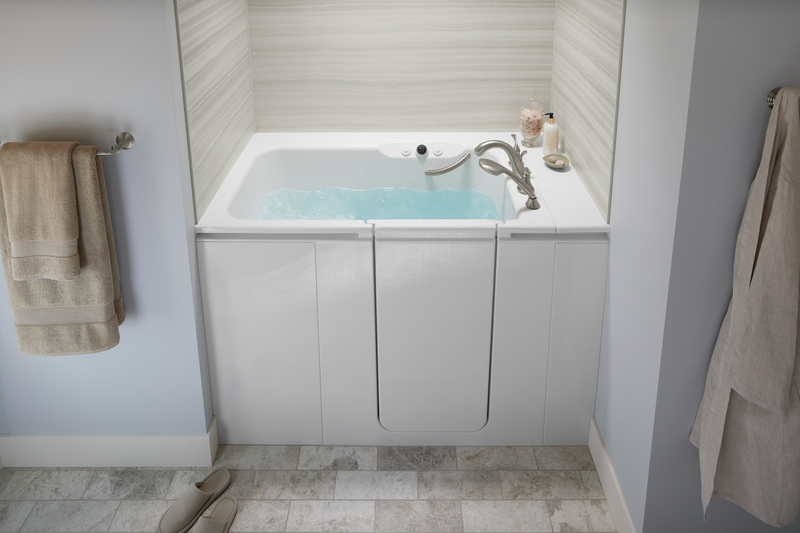 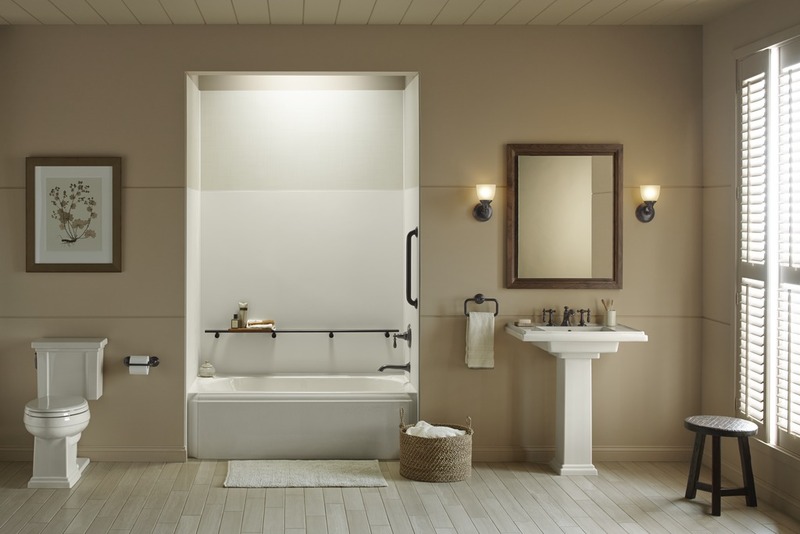 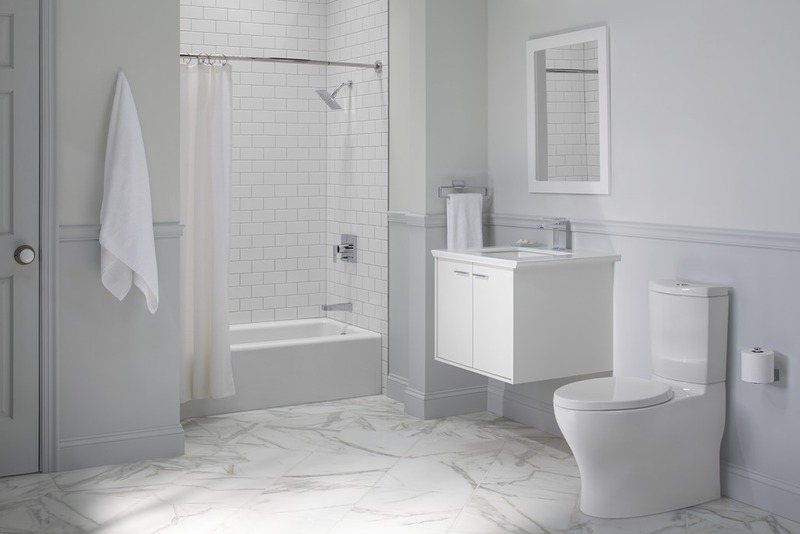 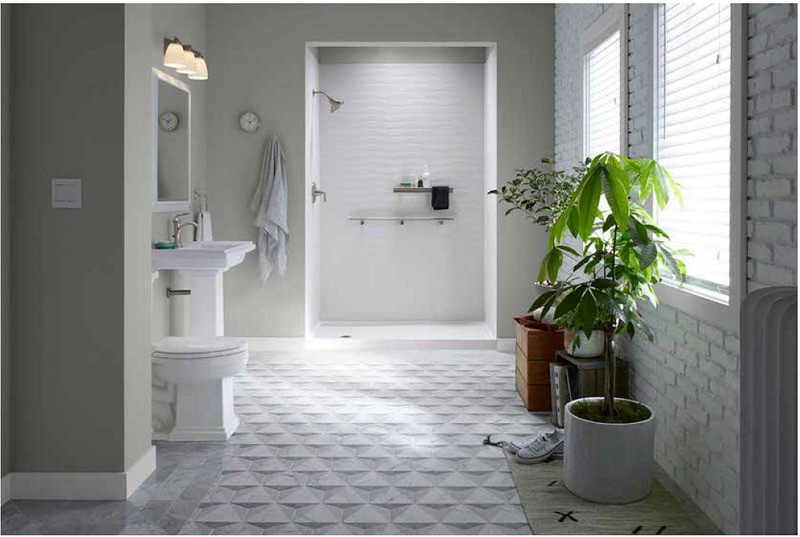 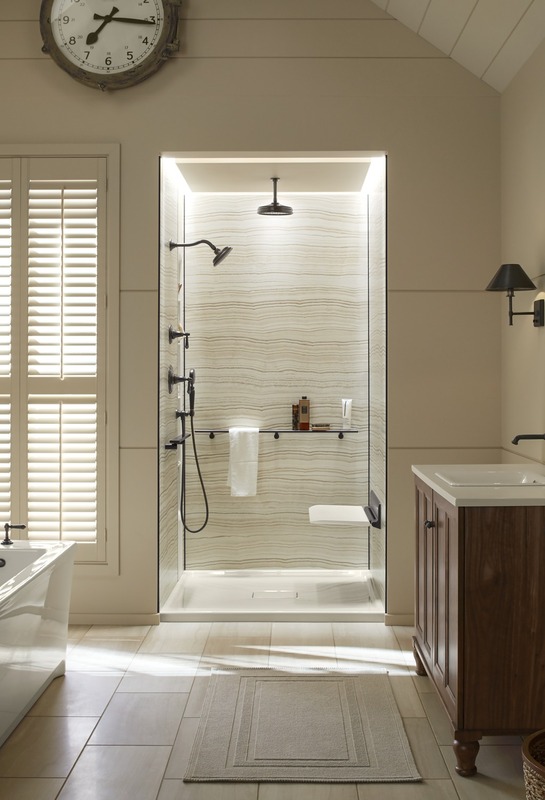 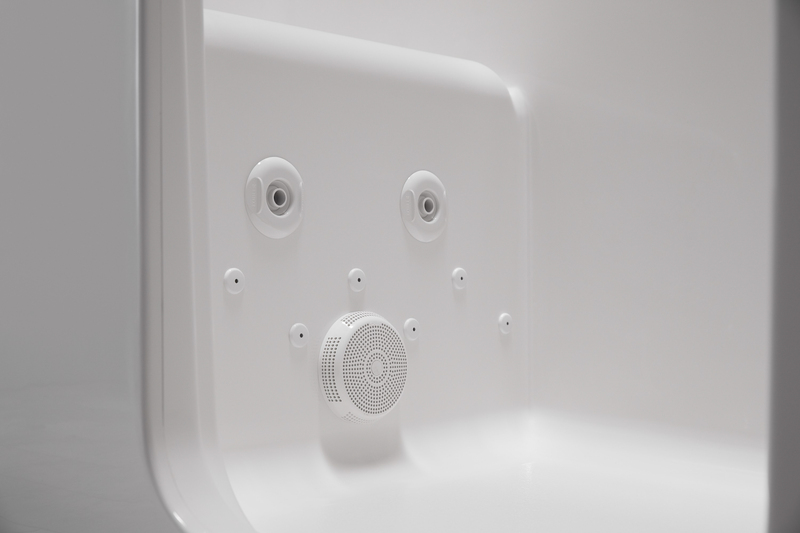 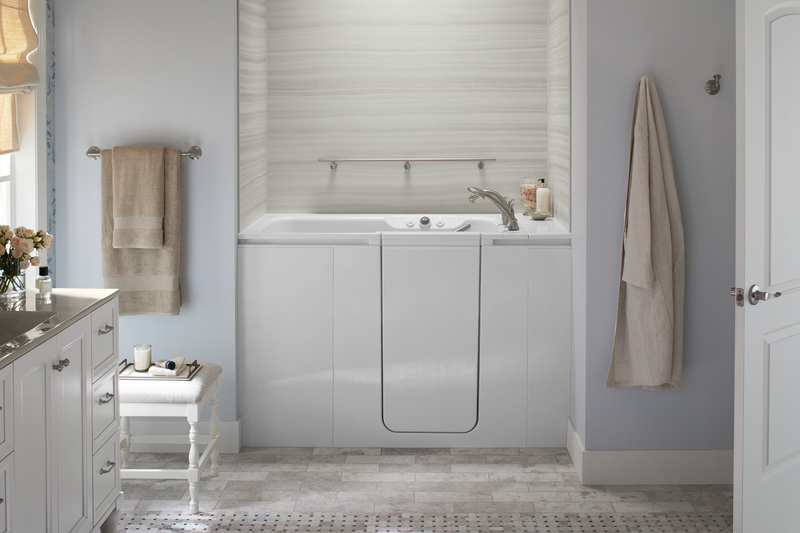 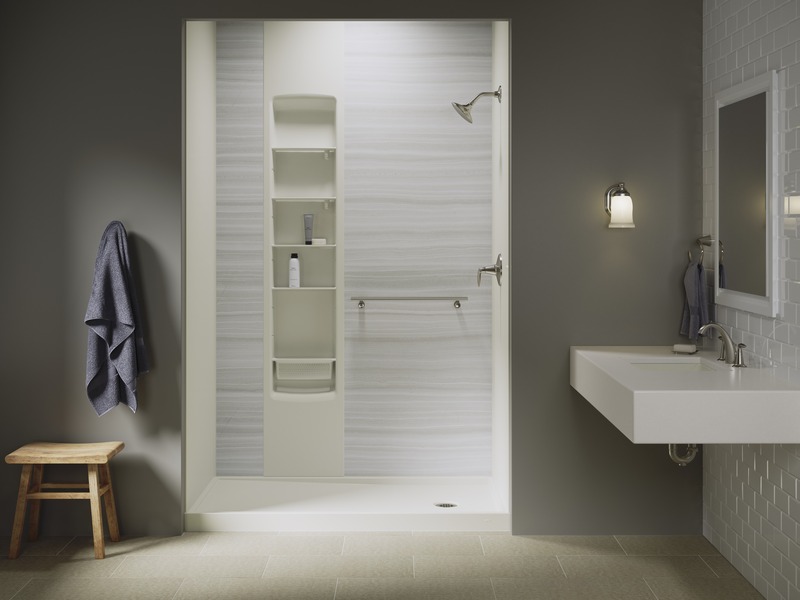 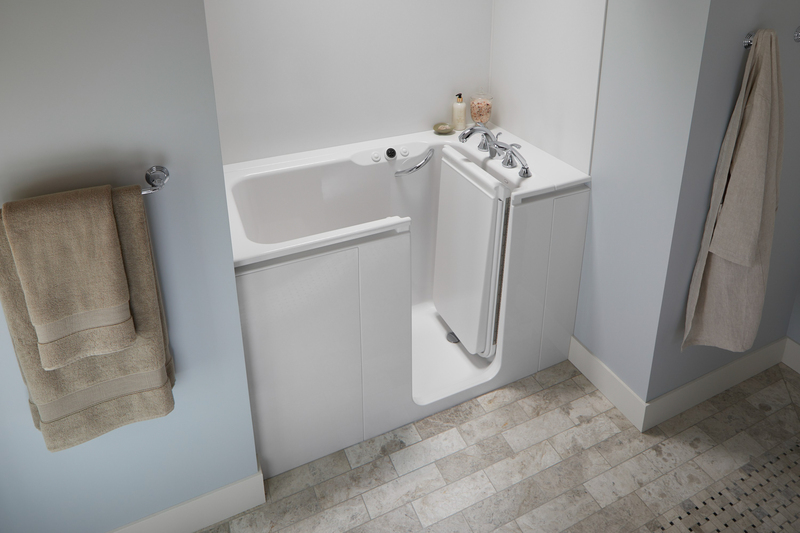 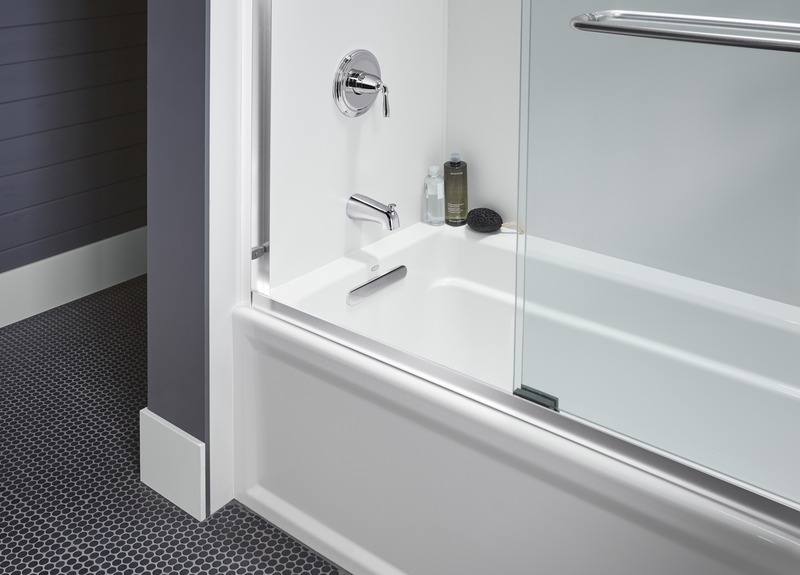 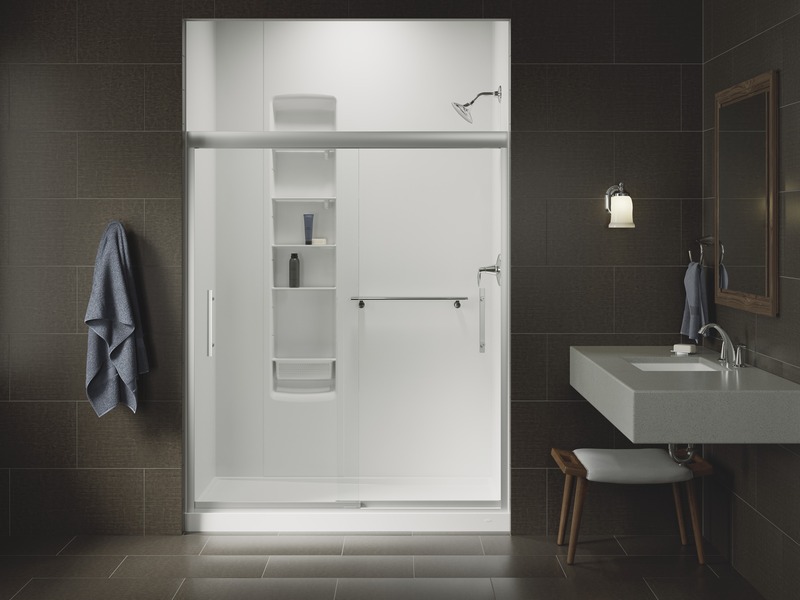 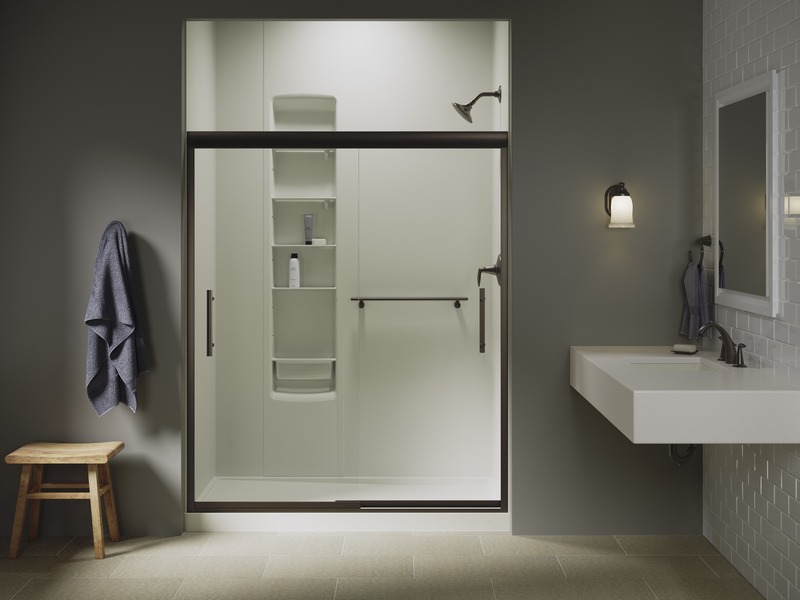 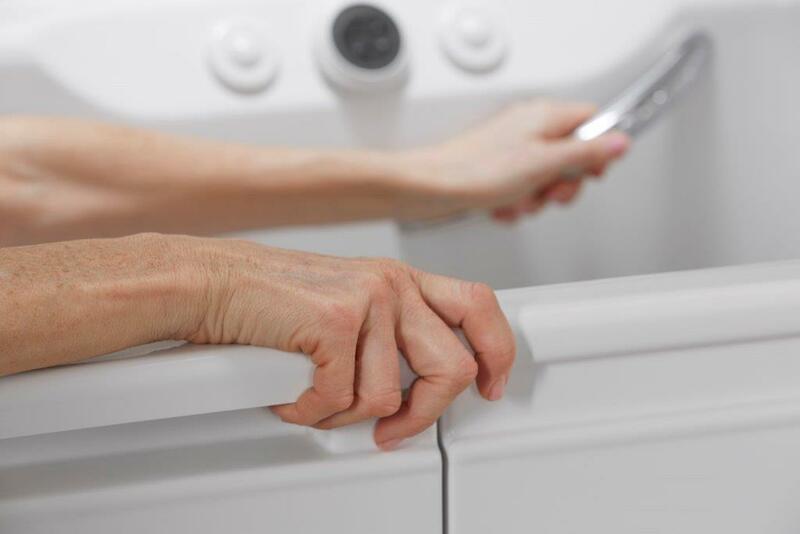 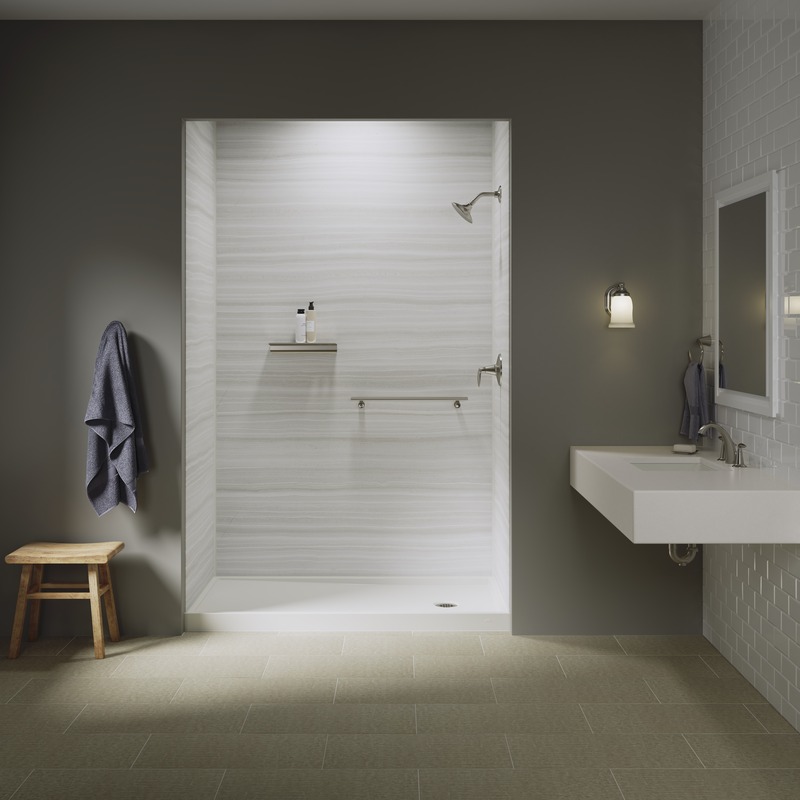 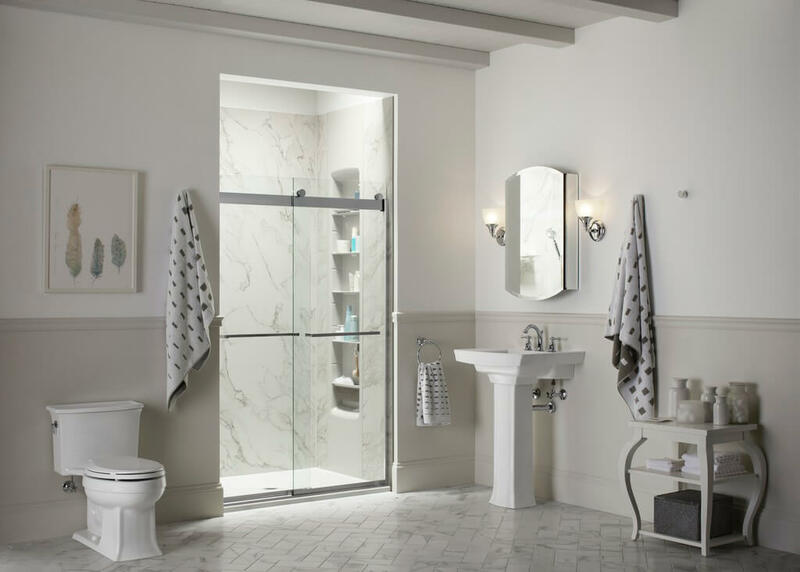 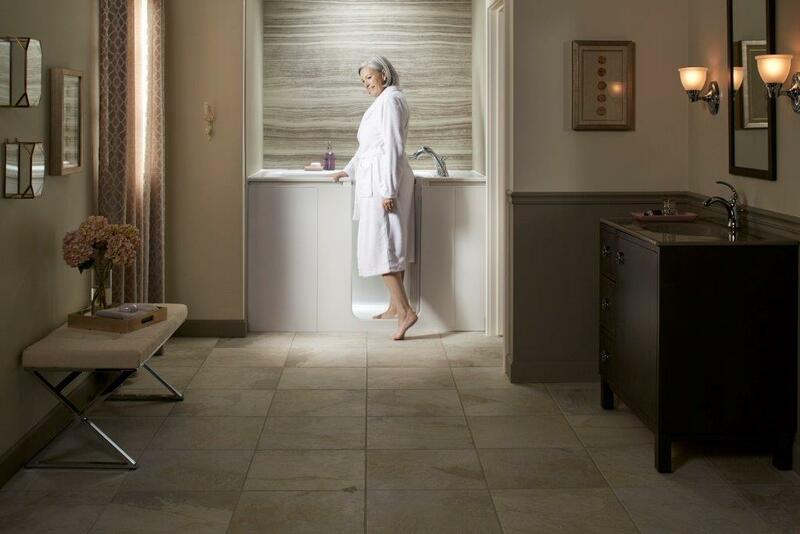 If you or a loved one in your home is concerned about bathing safely, you may want to opt for one of our Kohler walk-in bathtubs, which boast numerous innovative safety and therapeutic features. 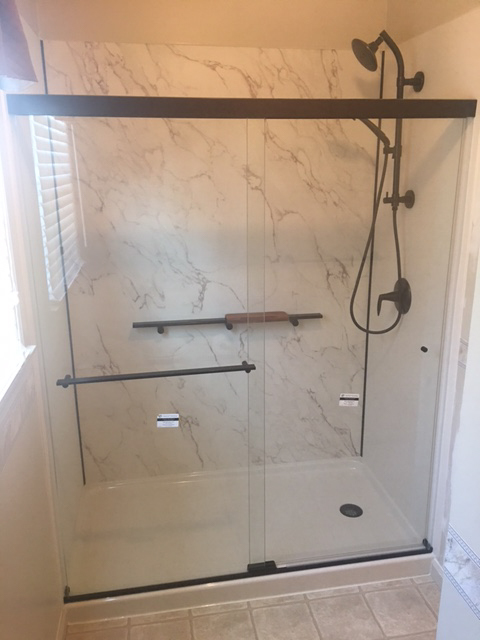 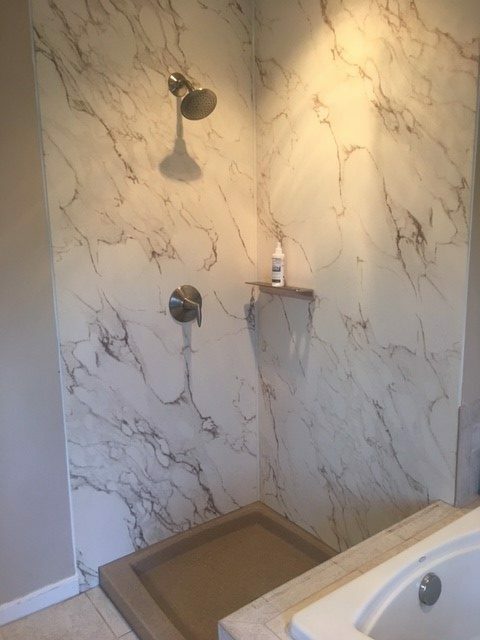 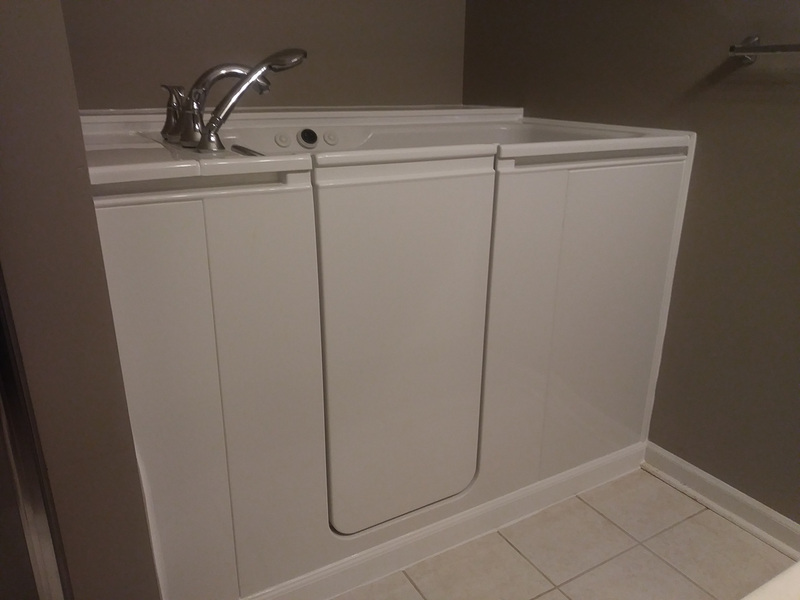 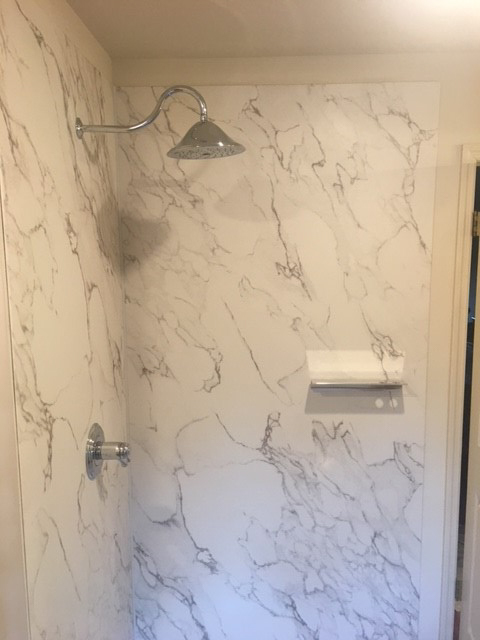 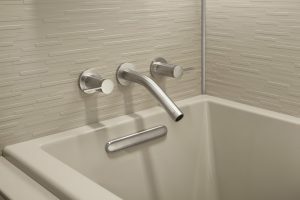 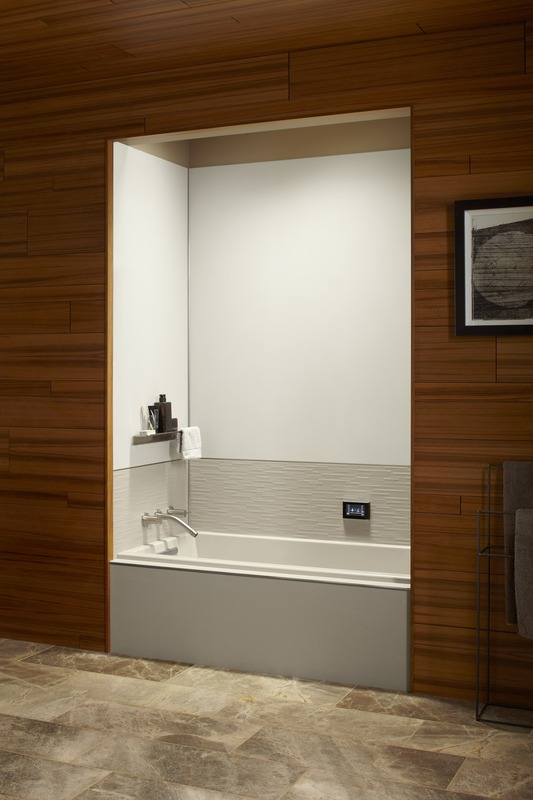 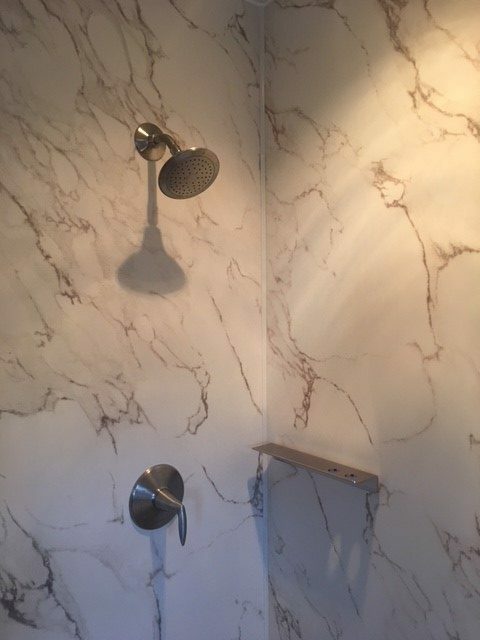 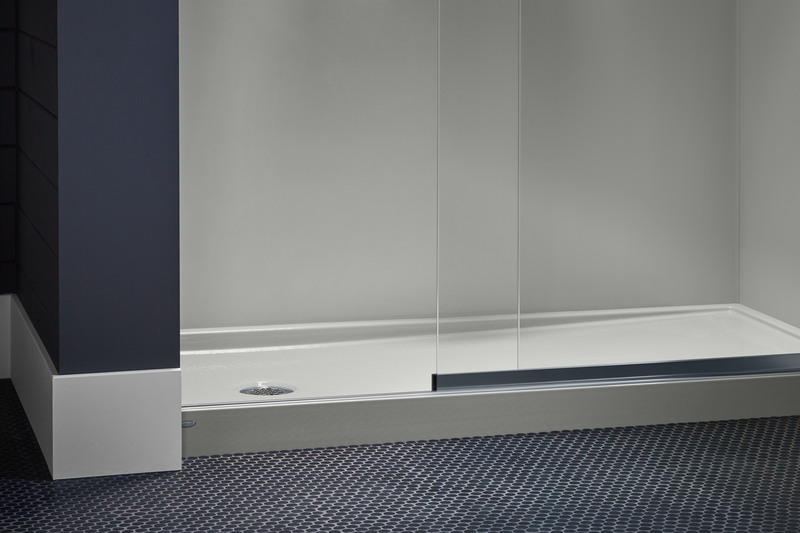 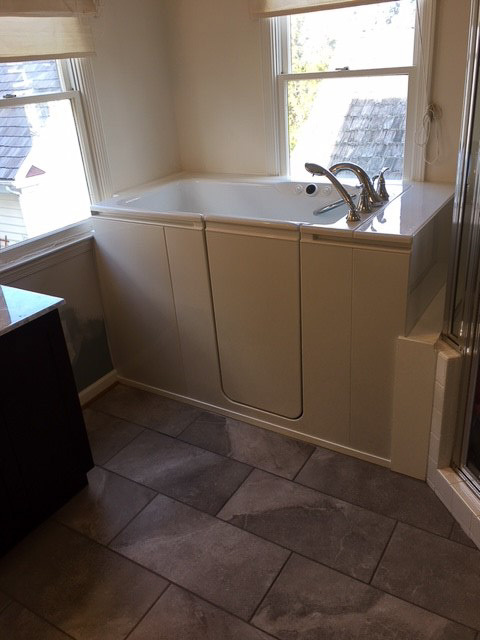 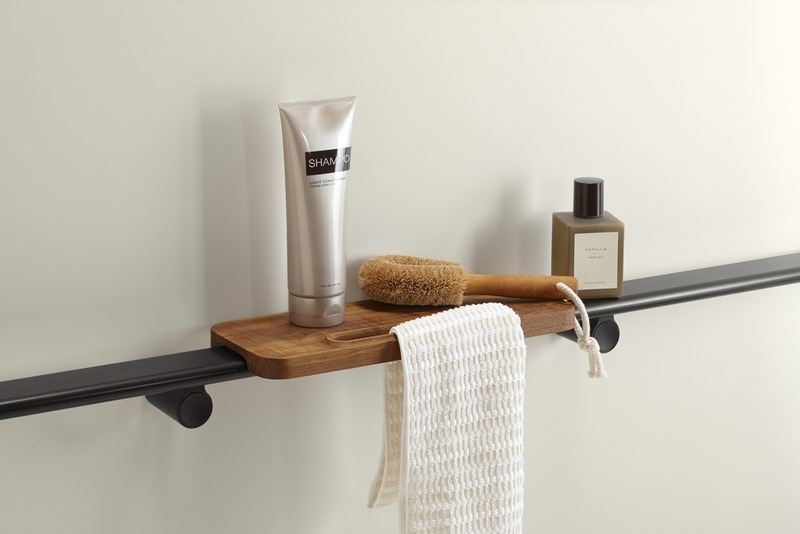 Bathtub wall surround installation – We offer our acrylic wall systems, as well as crushed-stone wall systems from Kohler, giving you many options for your wet-area walls. 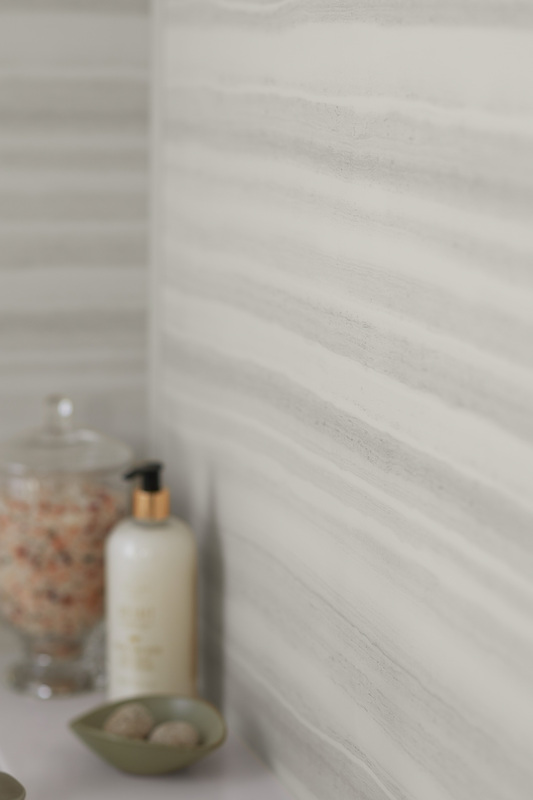 These wall systems come in many different colors, patterns, and textures, with gorgeous designs available to complement any style of bathroom décor. 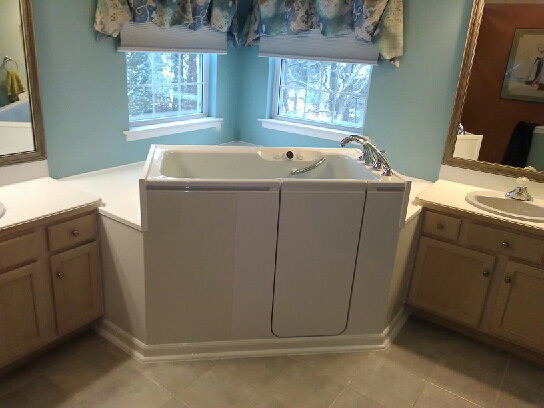 Beyond customizing the look of your bath, you can also select the organizational and safety features that you want to include in the space. 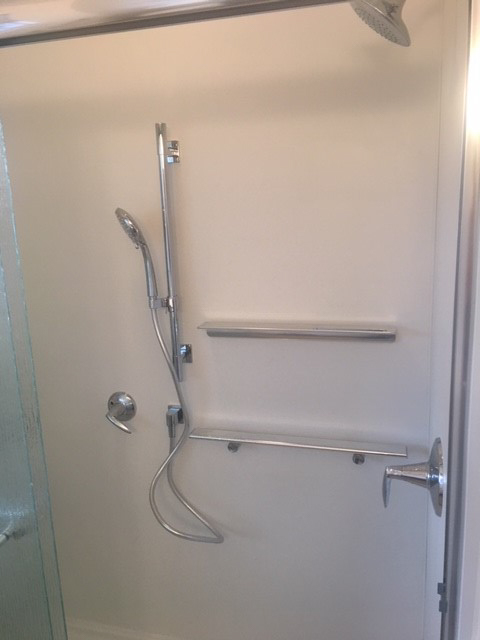 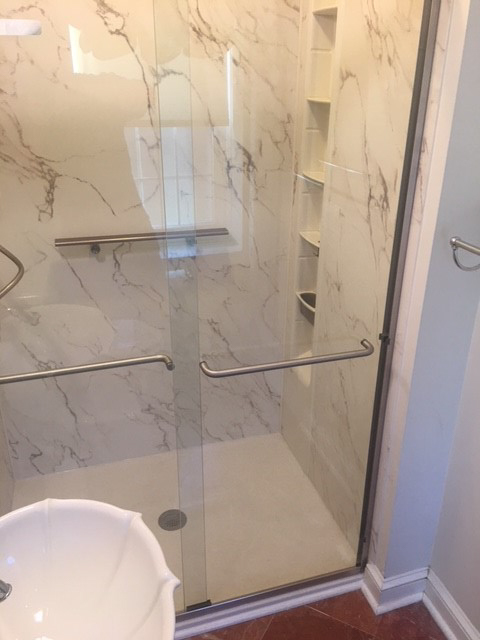 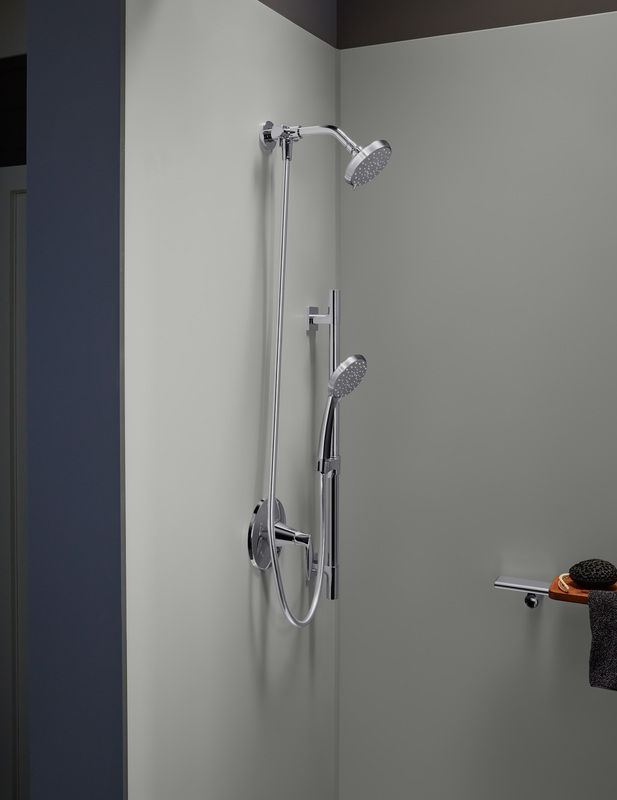 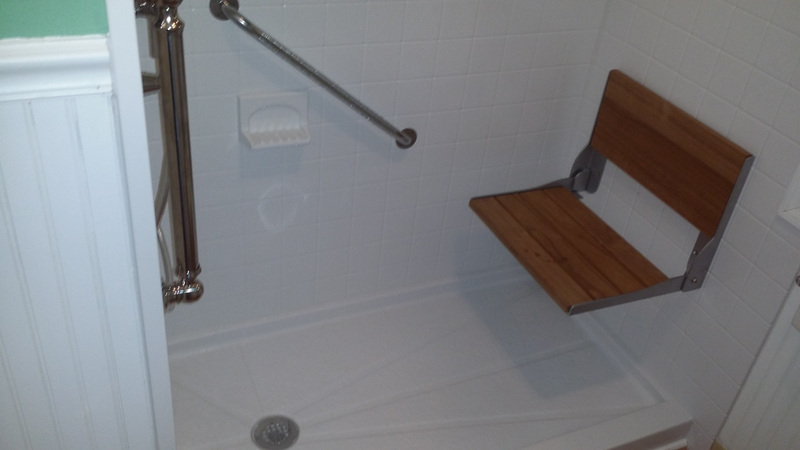 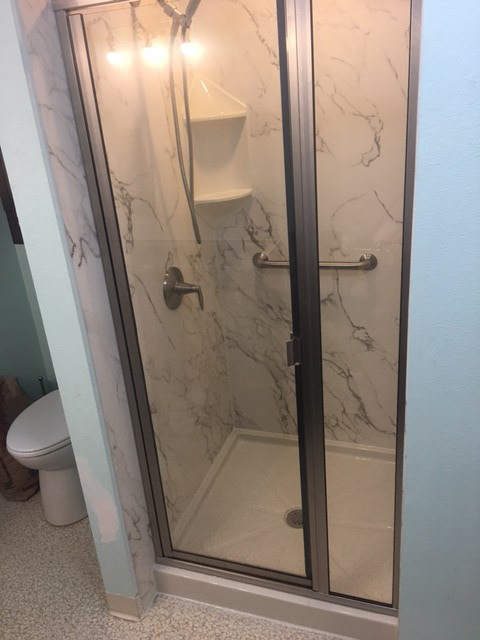 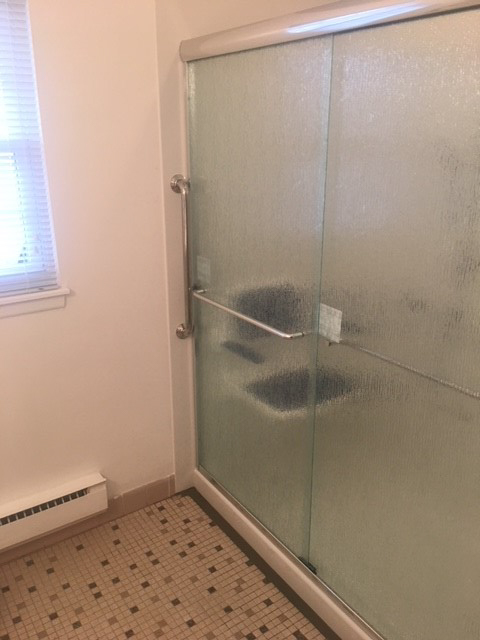 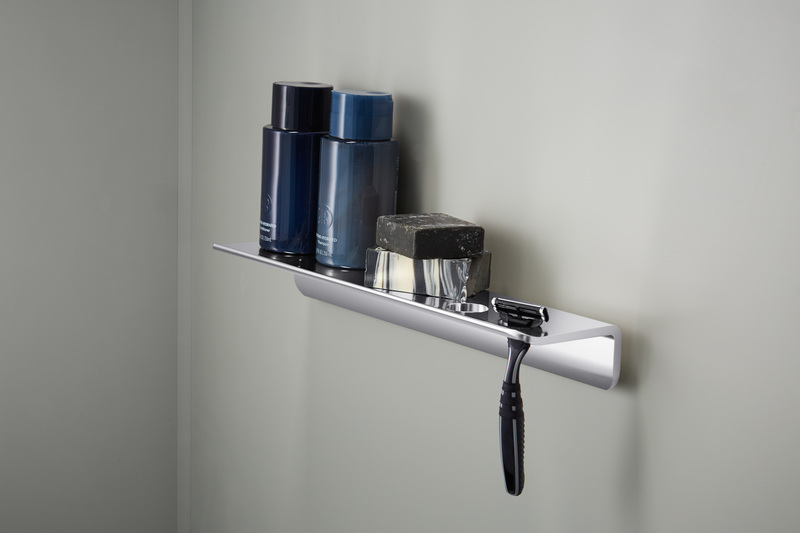 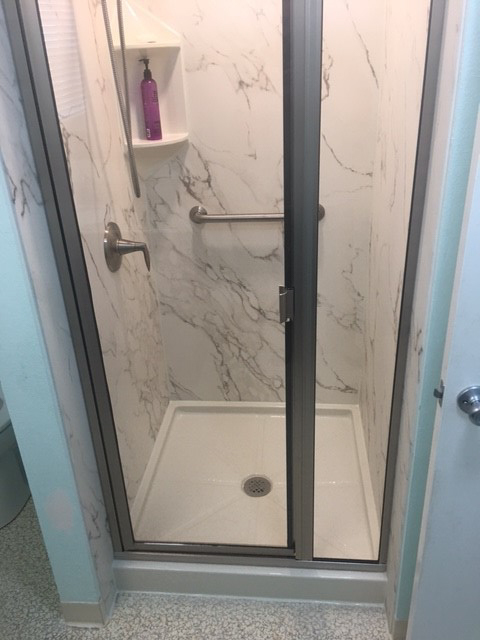 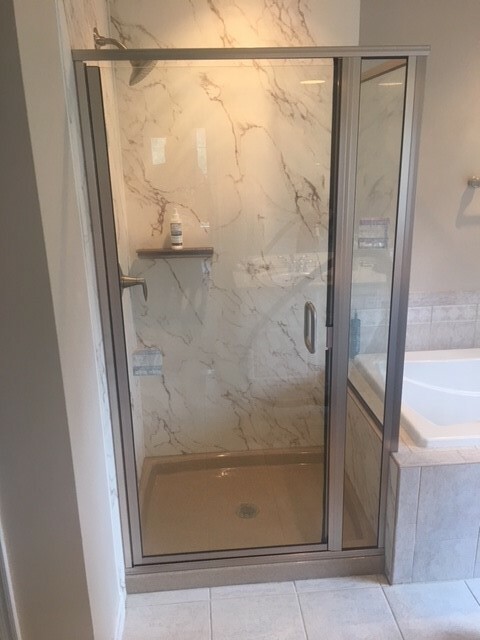 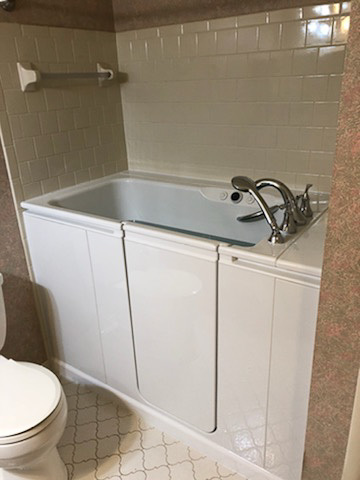 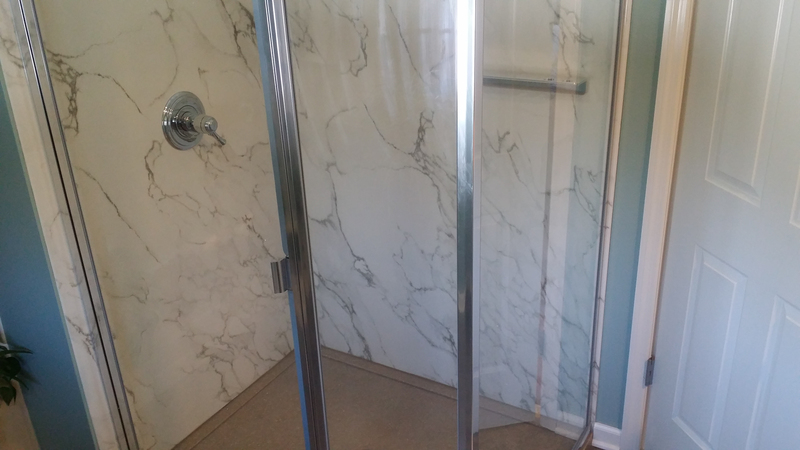 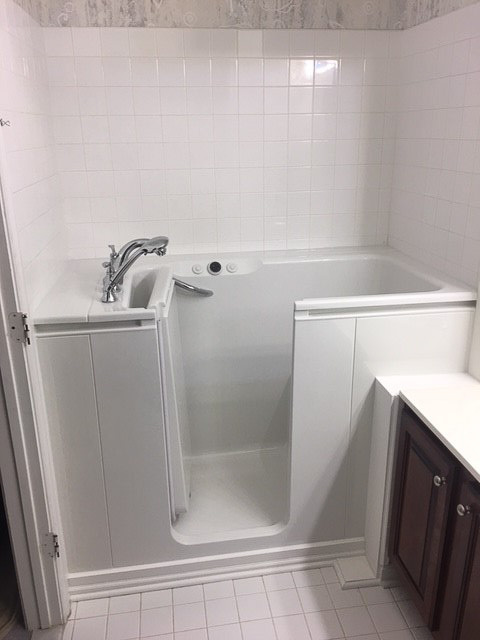 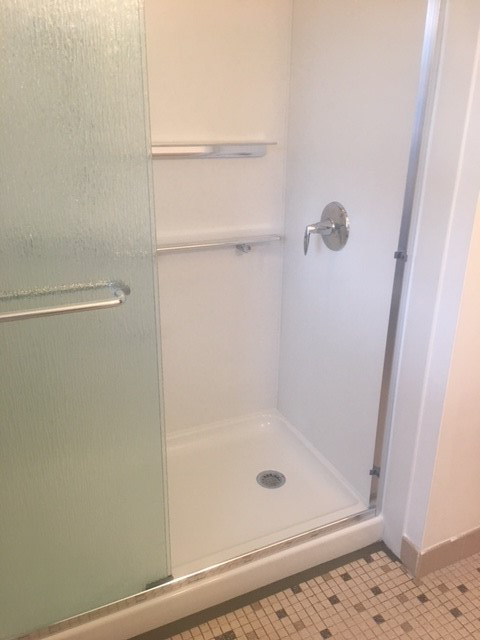 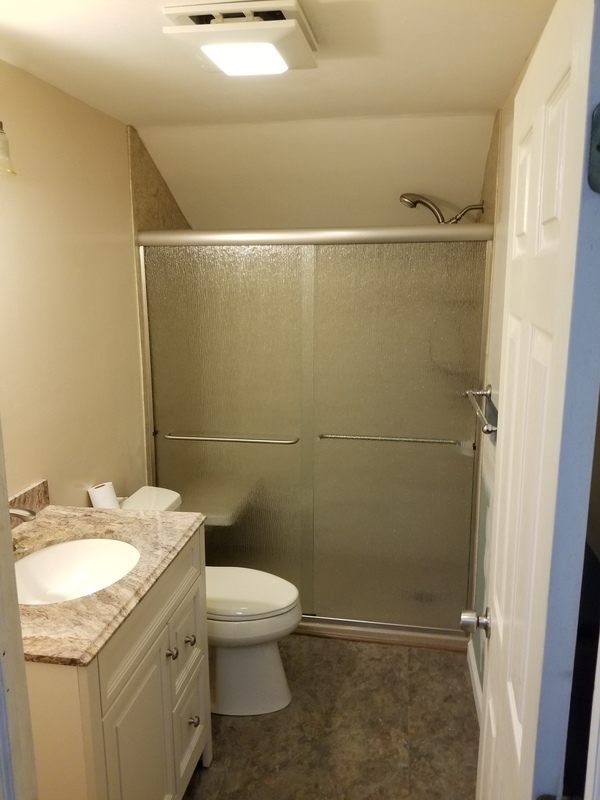 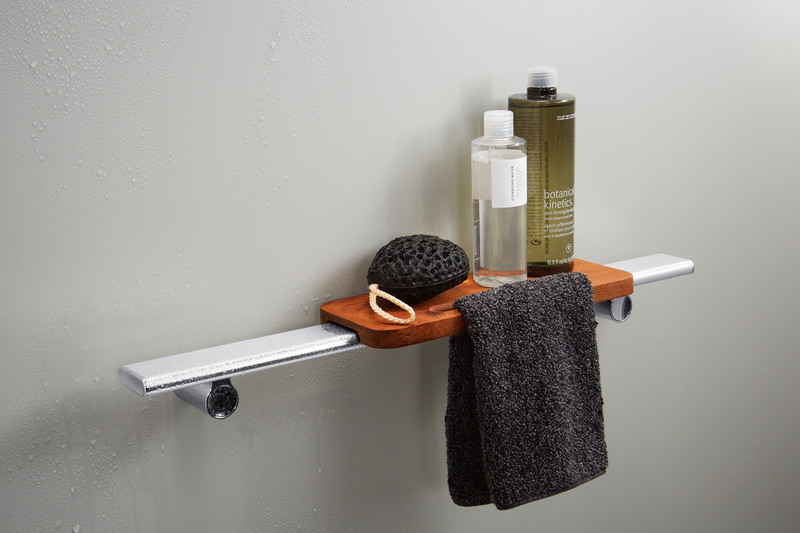 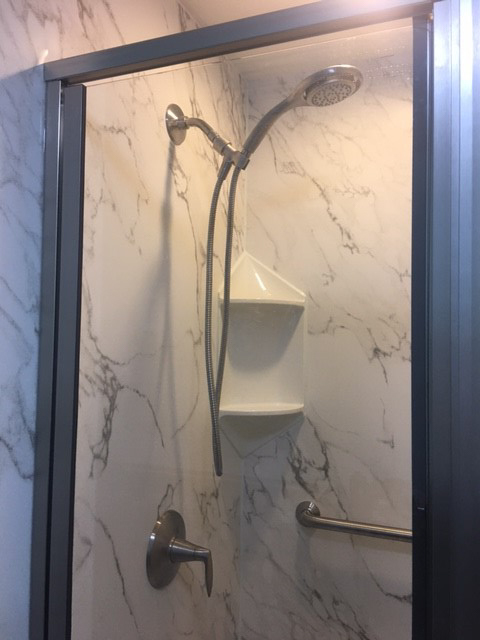 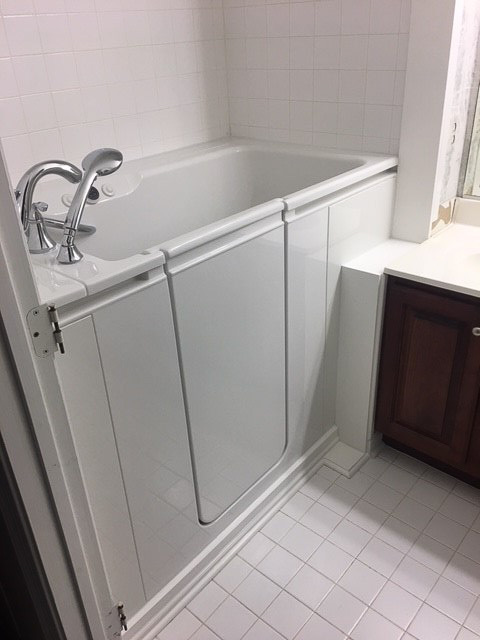 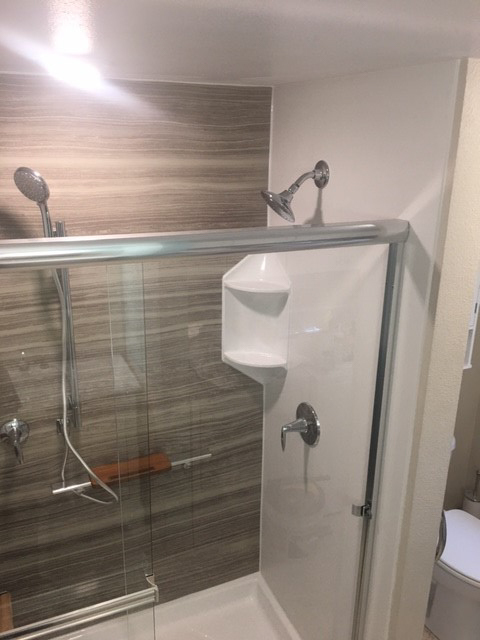 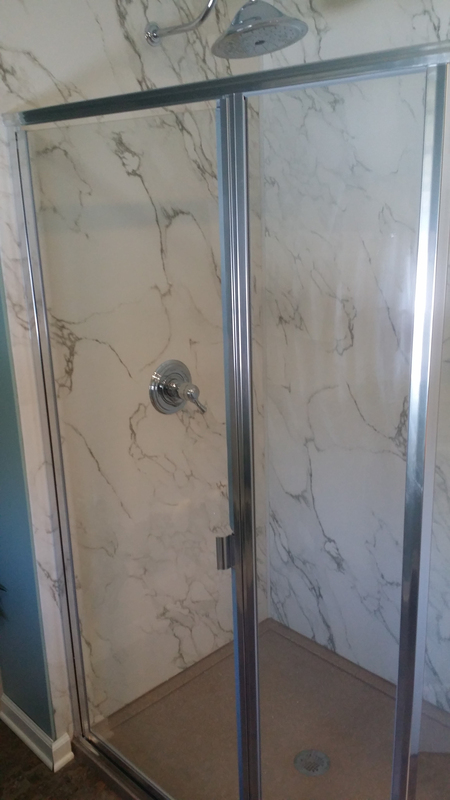 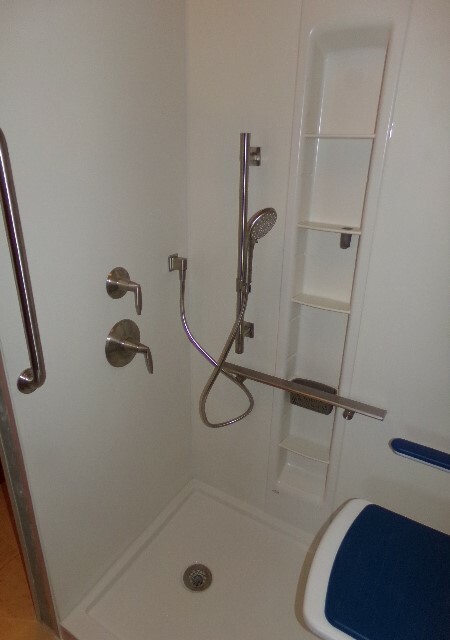 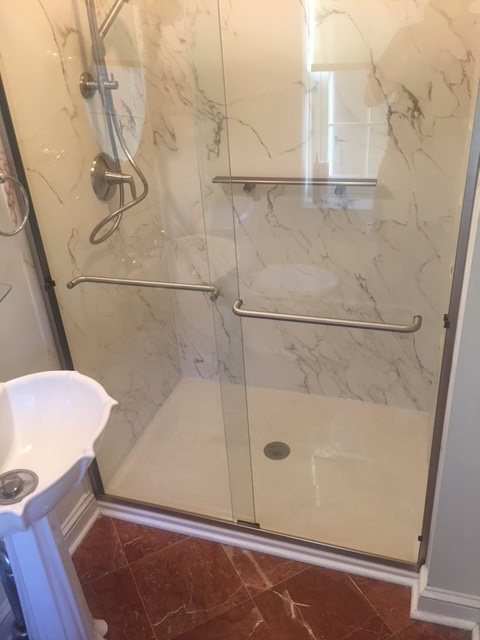 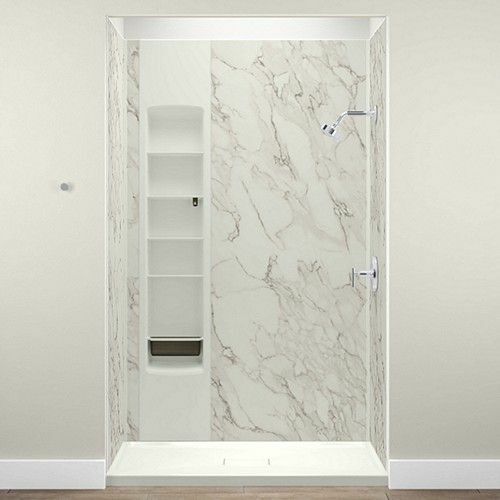 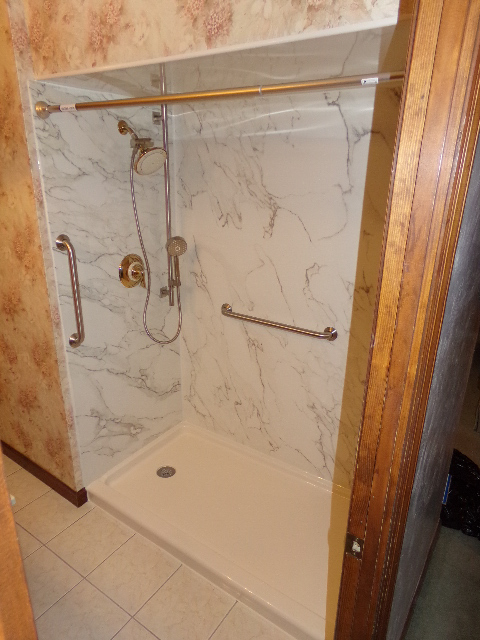 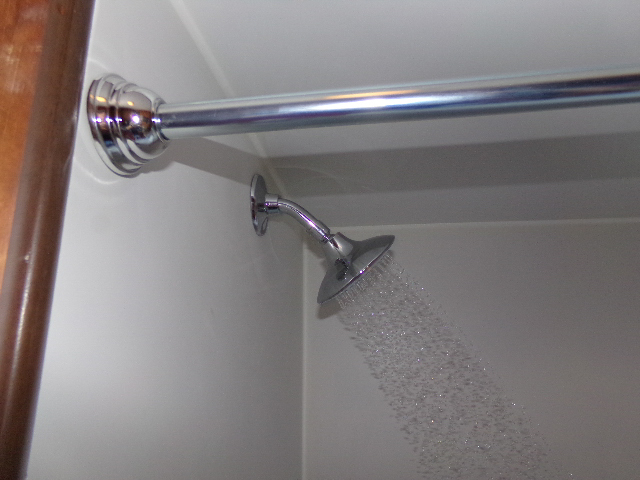 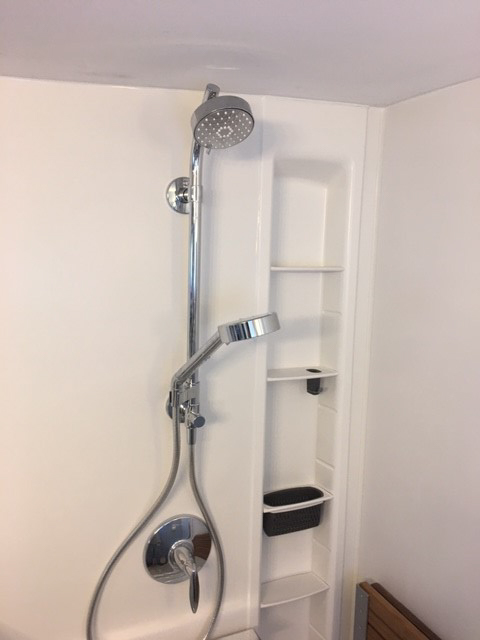 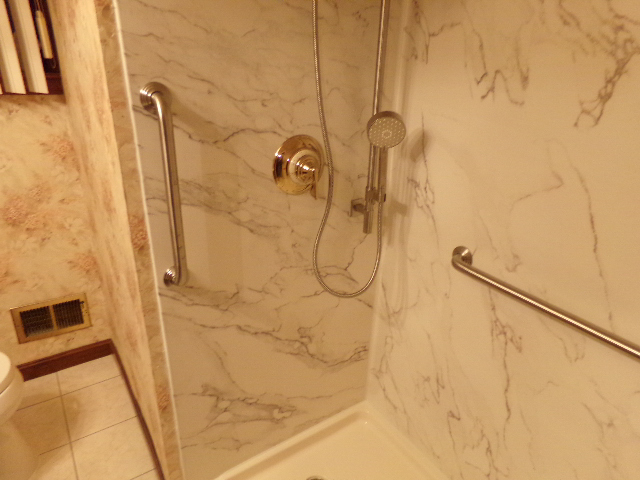 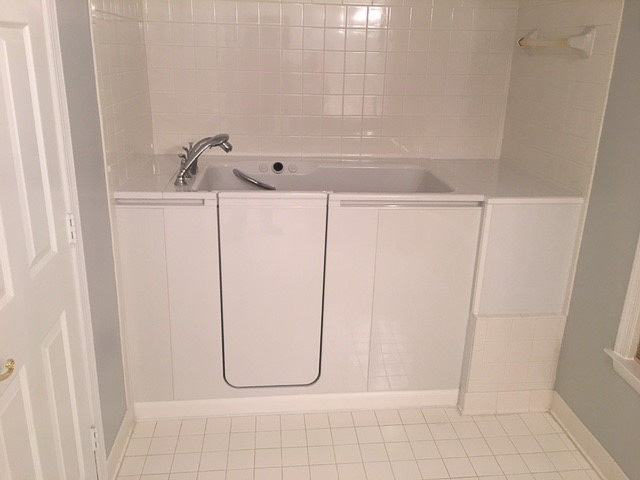 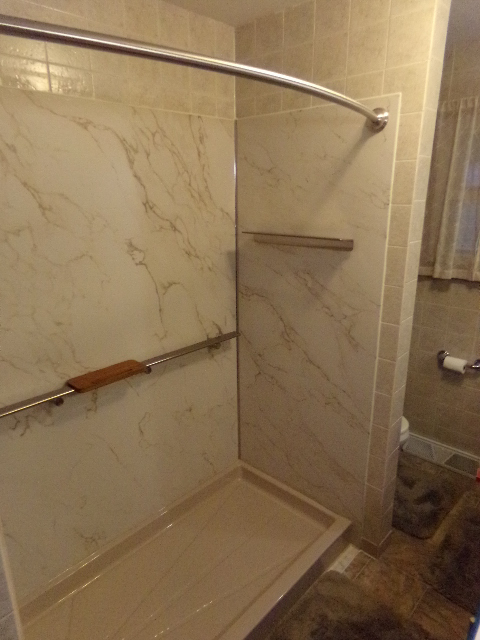 Your options include floating shelves, shower lockers, corner caddies, and safety grab bars, which we can place in the location(s) that you find the most convenient. 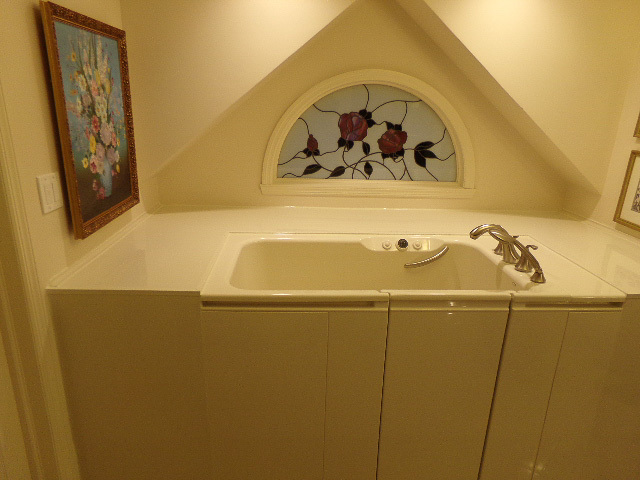 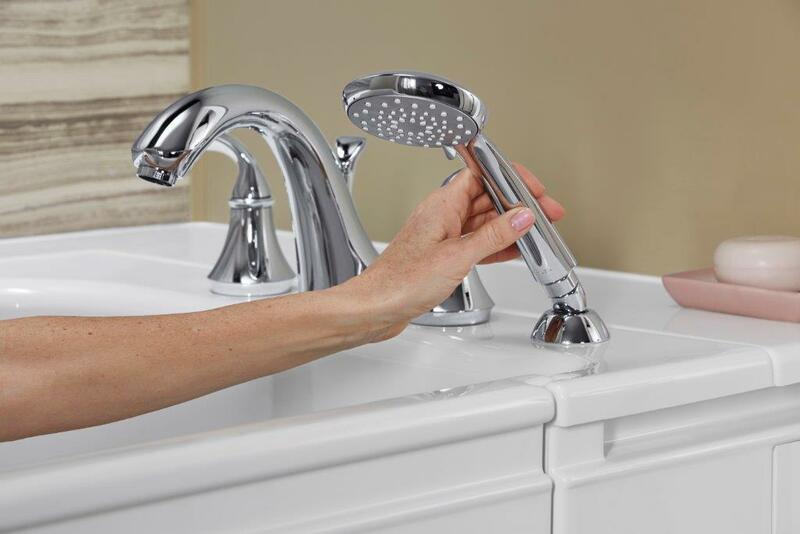 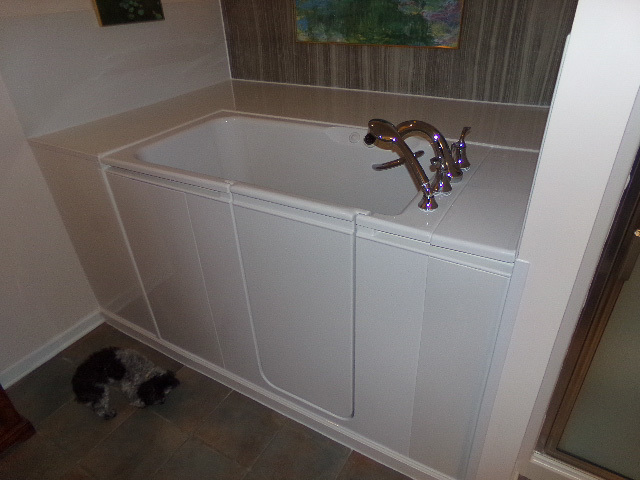 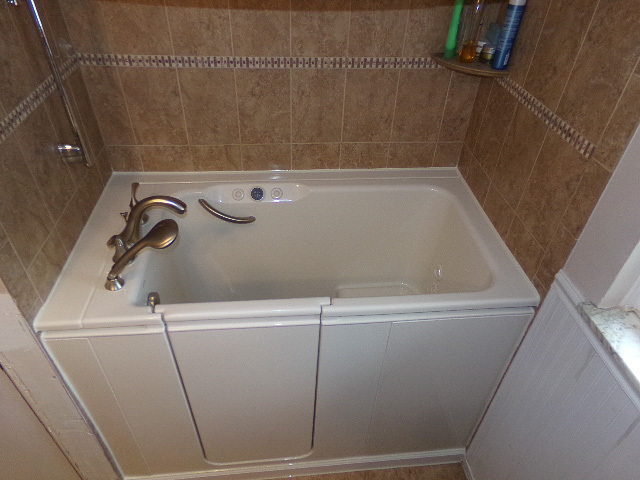 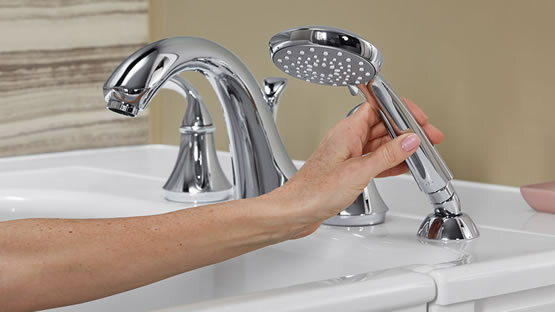 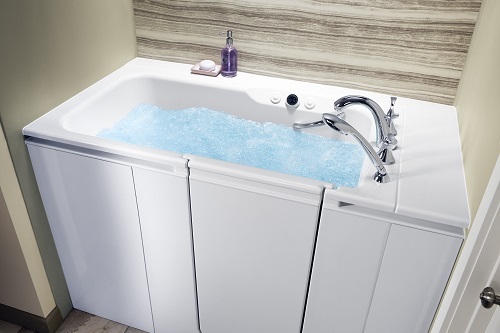 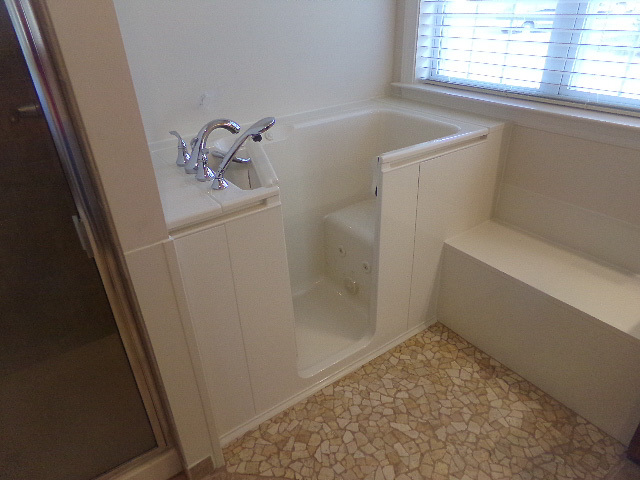 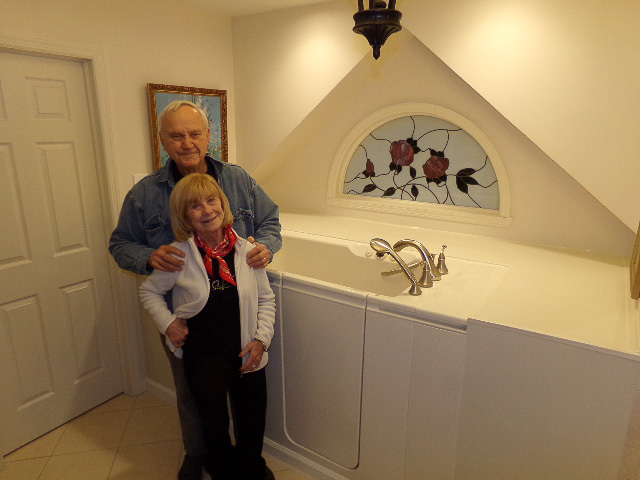 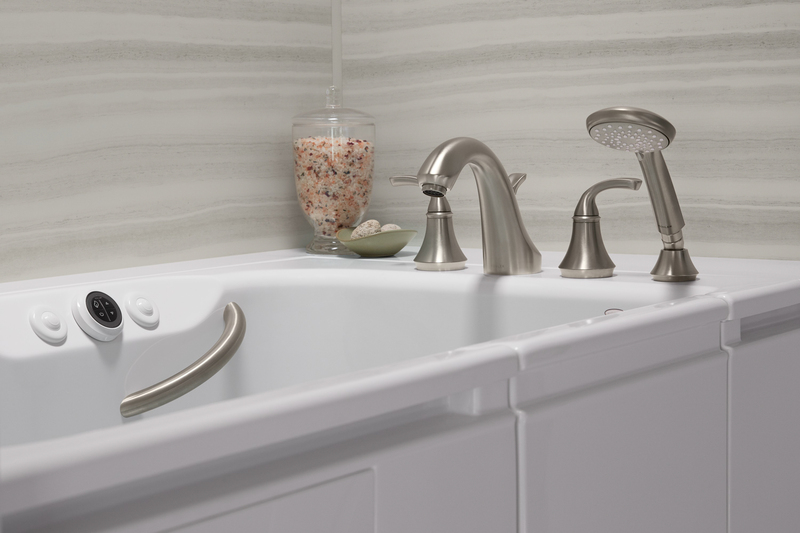 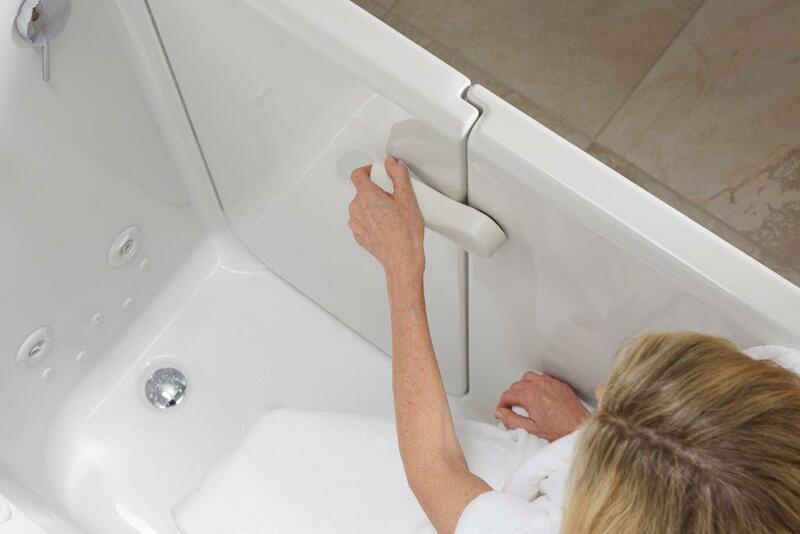 The best way to learn more about our bathtubs and other product options is to schedule a free, in-home consultation. 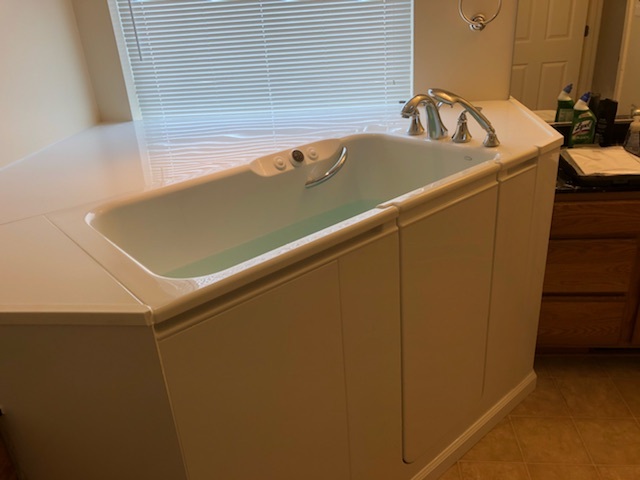 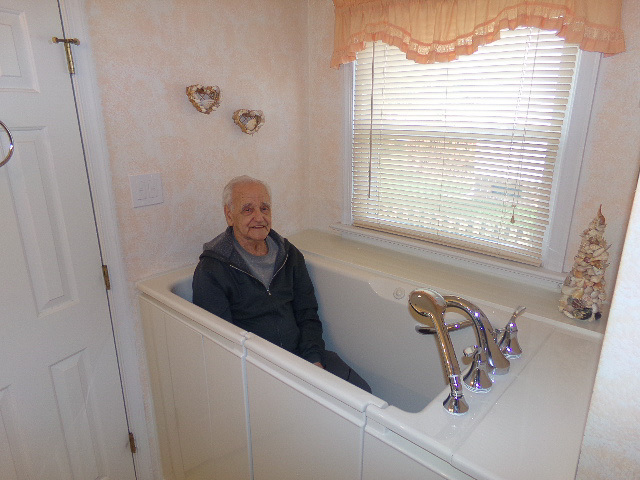 You can sit down with a member of our team and get all of the information you need about our bathtubs and wall systems so that you can make an informed investment in your home. 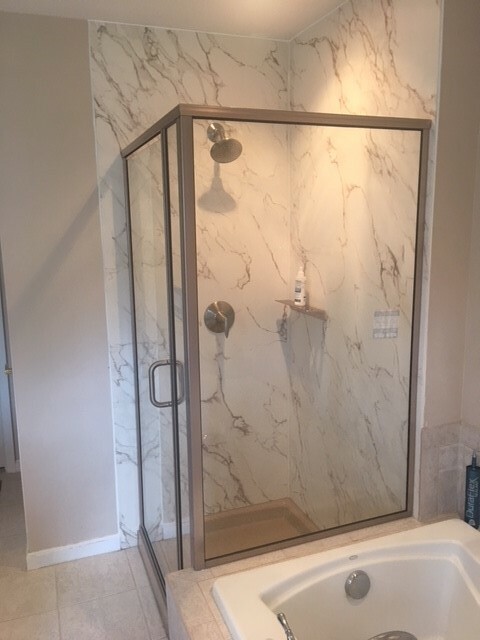 Contact Home Smart Industries to get this exciting project underway. 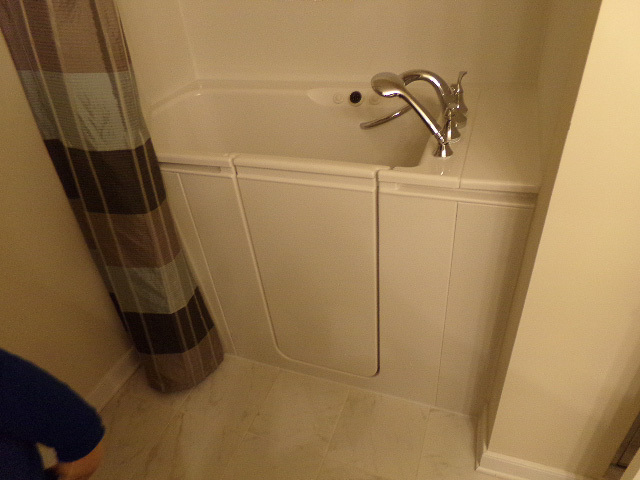 I was most satisfied with the two installers, they were very good at what they did. 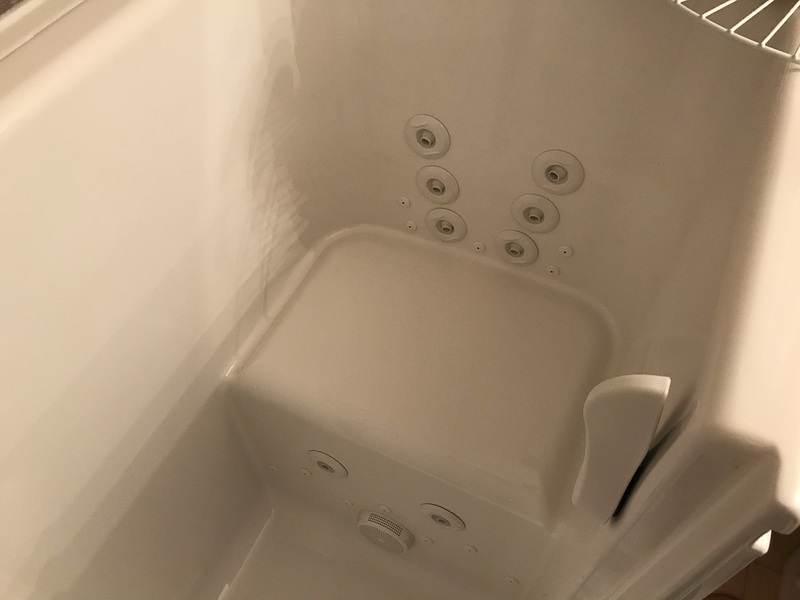 It was not an easy job and they had to take a lot of stuff out, but when they left you couldn't even tell anyone had been there. 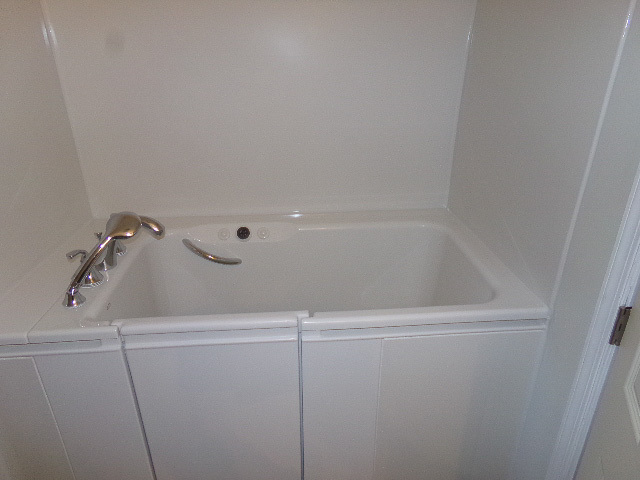 They left the site clean and orderly, they really did a great job.